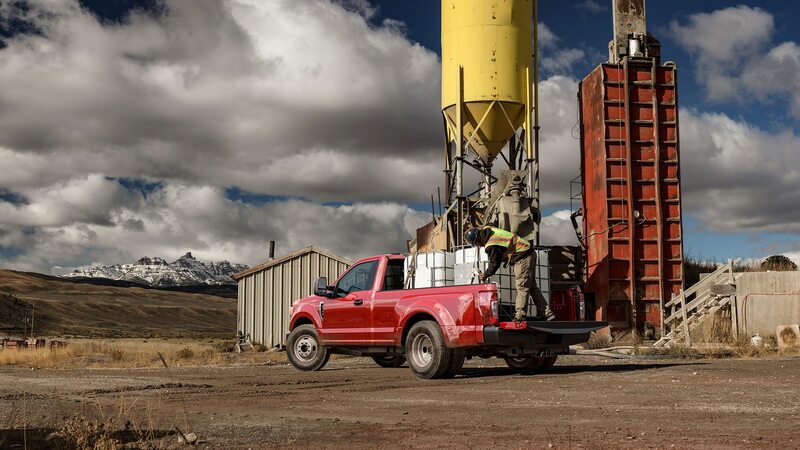 The trucks claim the largest payload rating in their class. 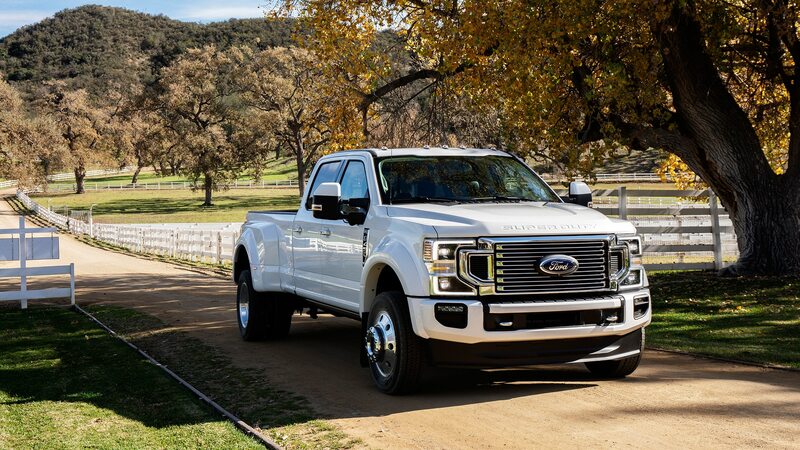 When Henry Ford considered selling his automobile company to William Durant’s General Motors in 1909, he negotiated with the condition that he keep his eponymous farm-tractor manufacturing operation. 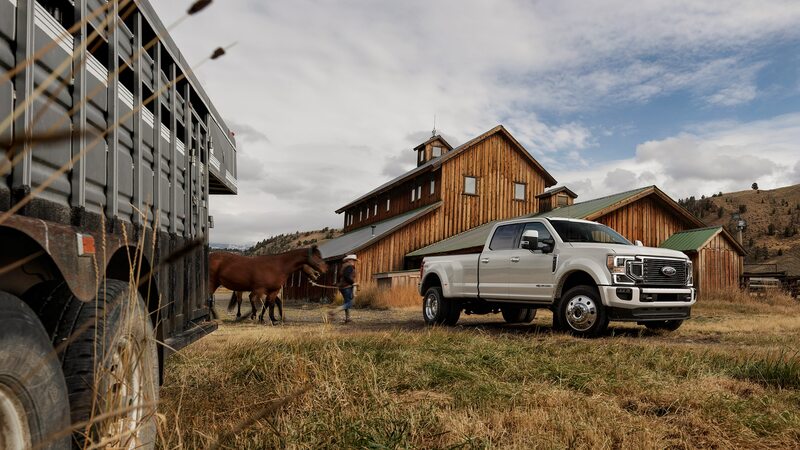 The sale never happened, of course, but Ford’s proclivity toward workhorse vehicles hasn’t changed much over the course of 110 years. 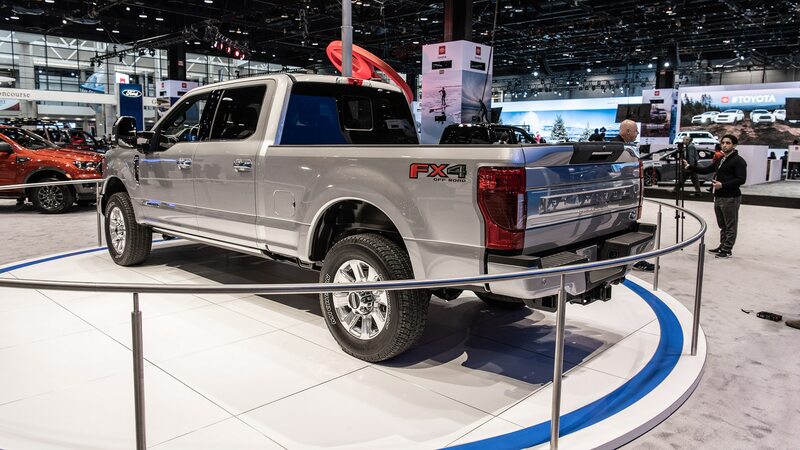 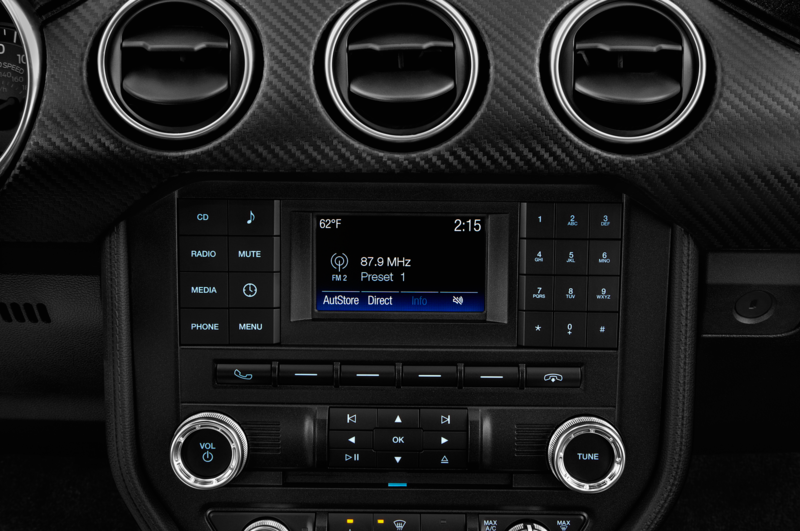 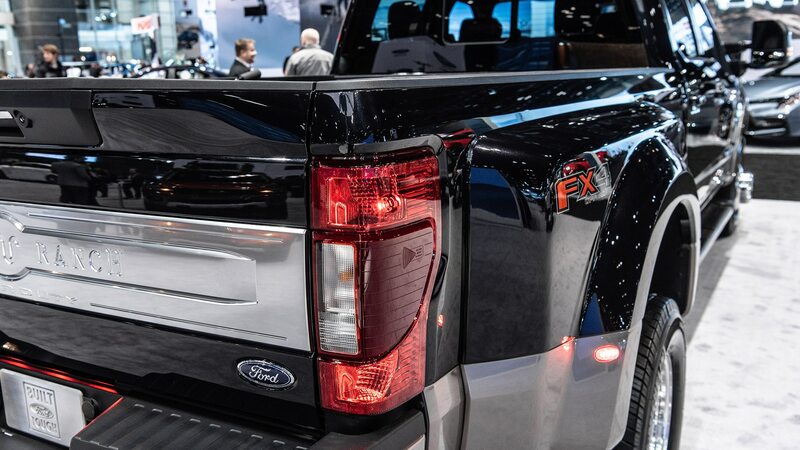 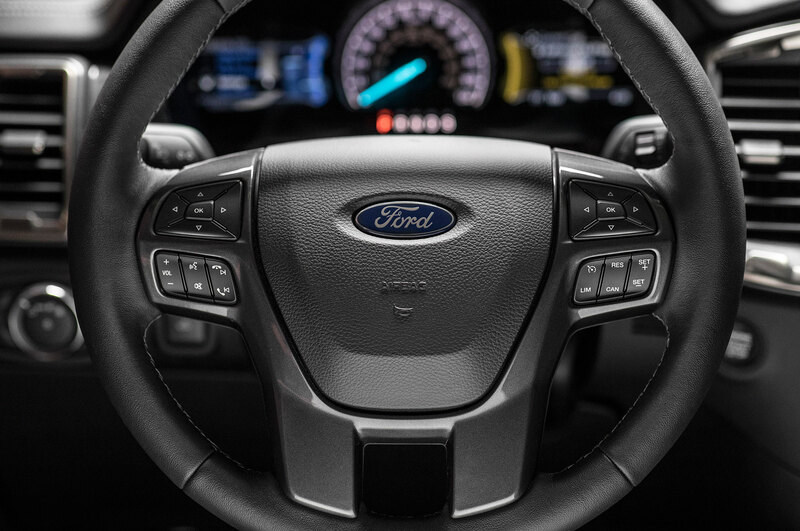 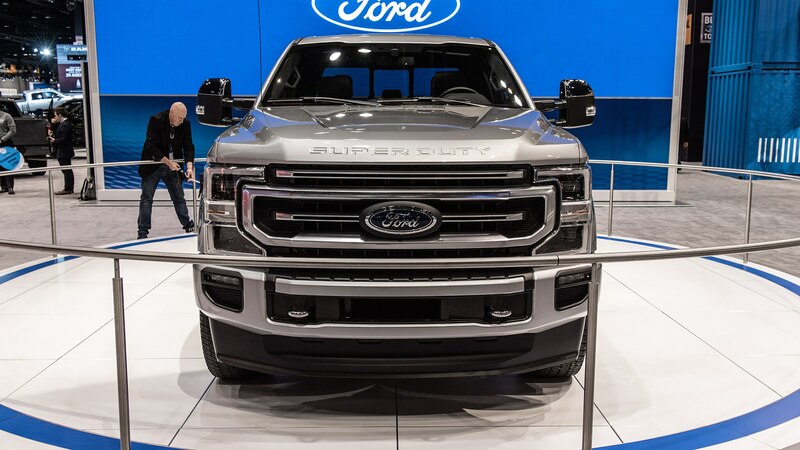 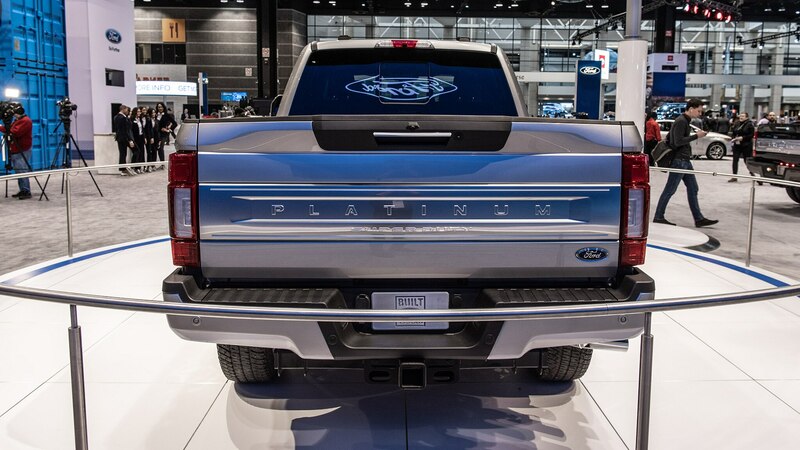 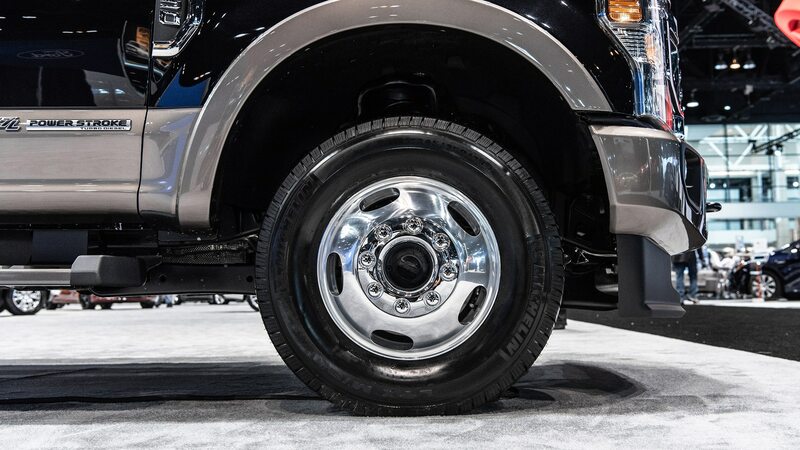 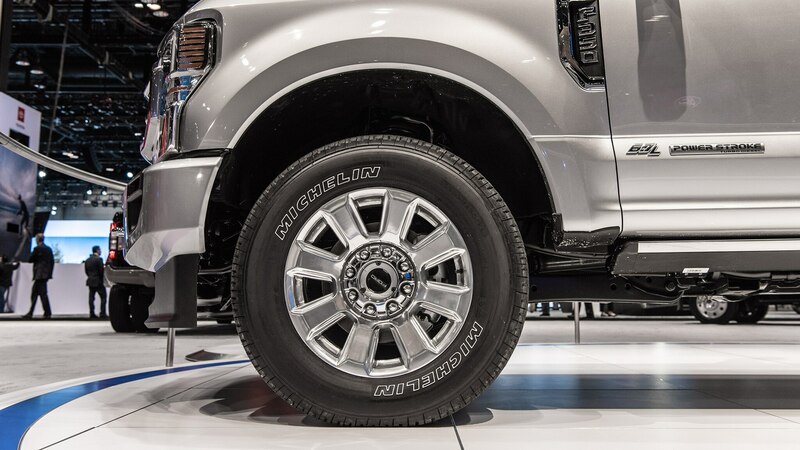 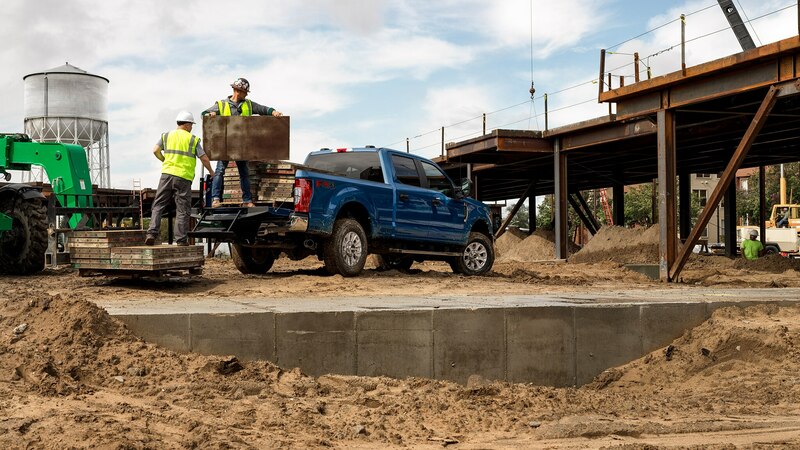 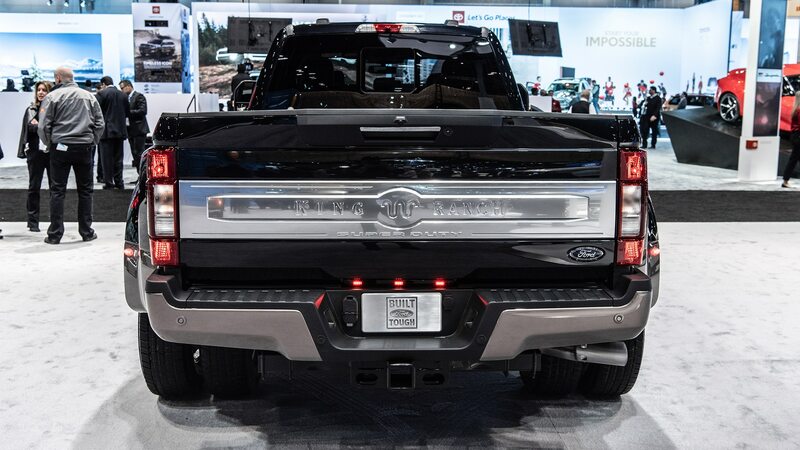 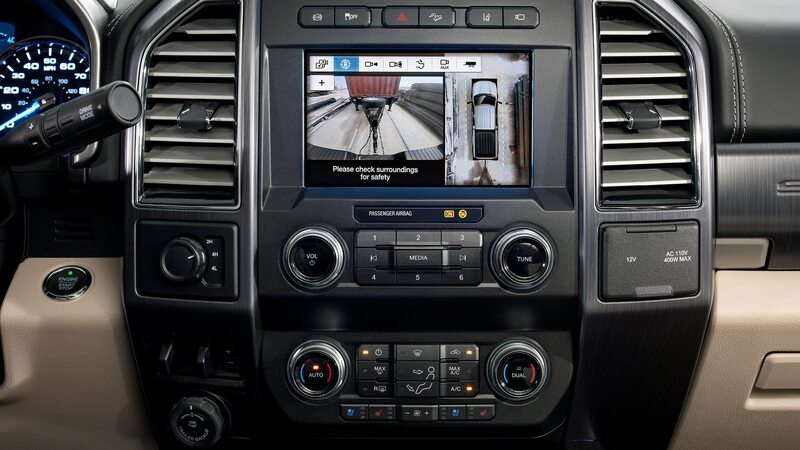 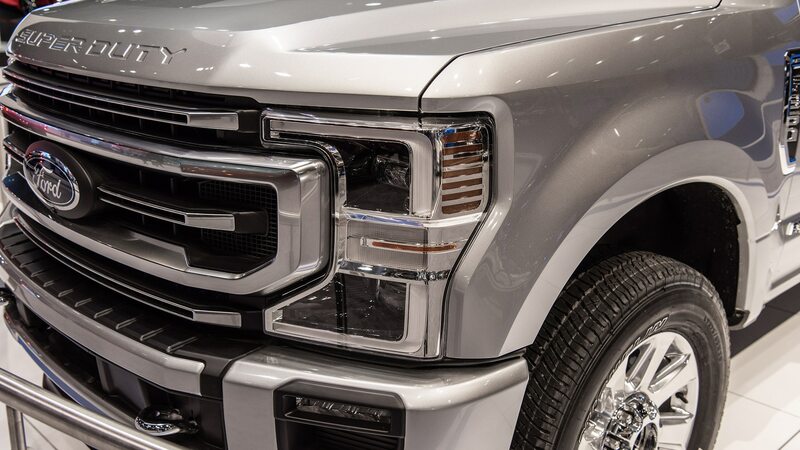 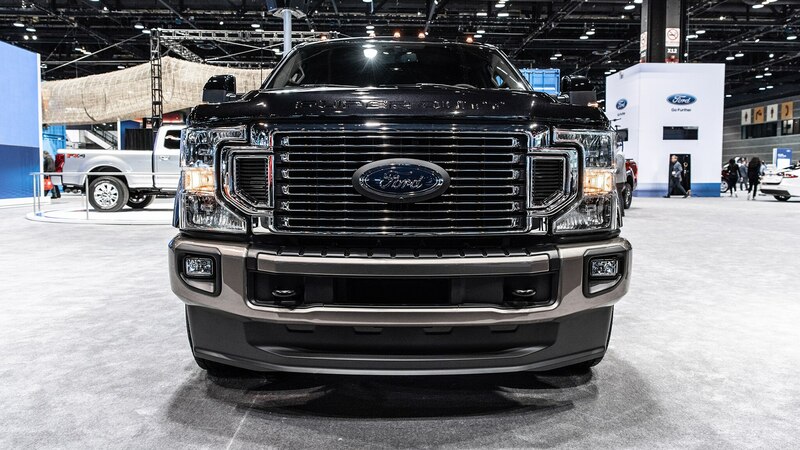 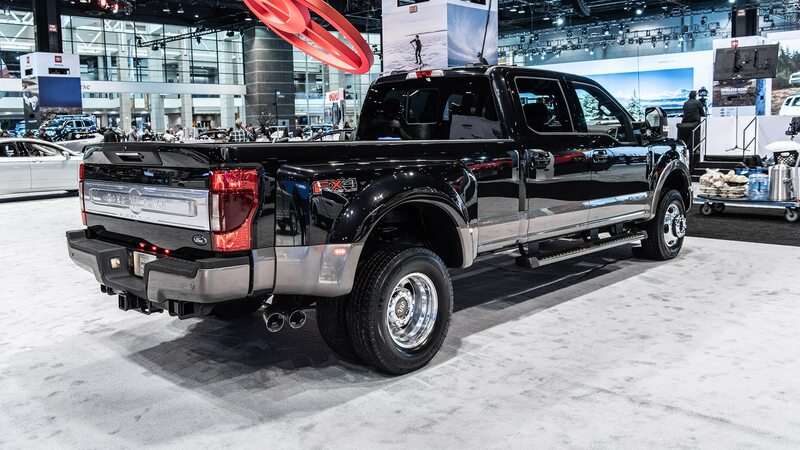 Today, 90 percent of Ford Motor Company’s capital expenditure, or CapEx, as Wall Street prefers to call it, is going into trucks and utilities, said Kumar Galhotra, group vice president and president of Ford North America, in his introduction of model-year 2020 Ford commercial trucks. 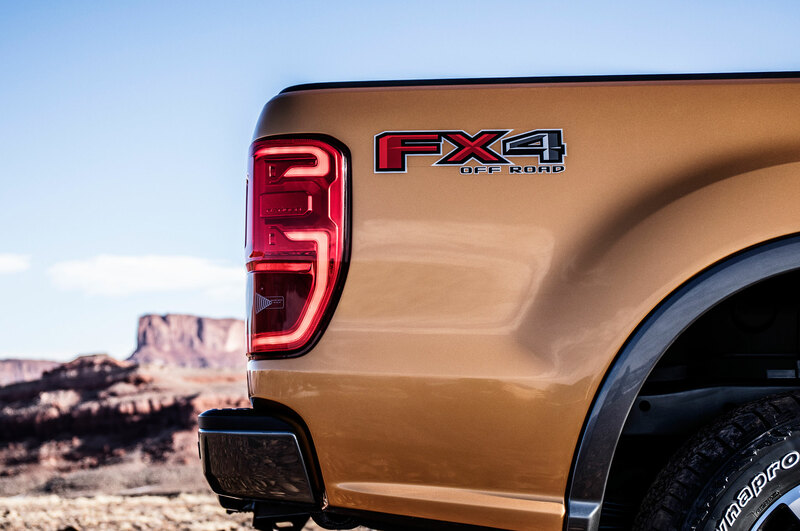 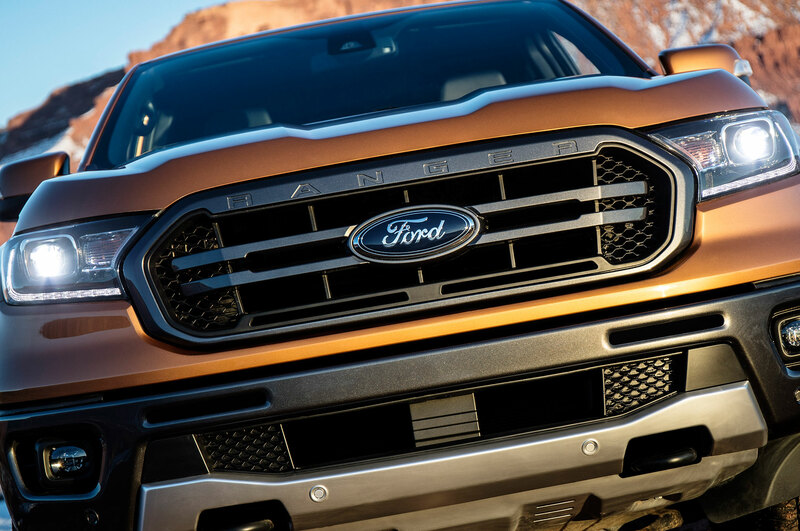 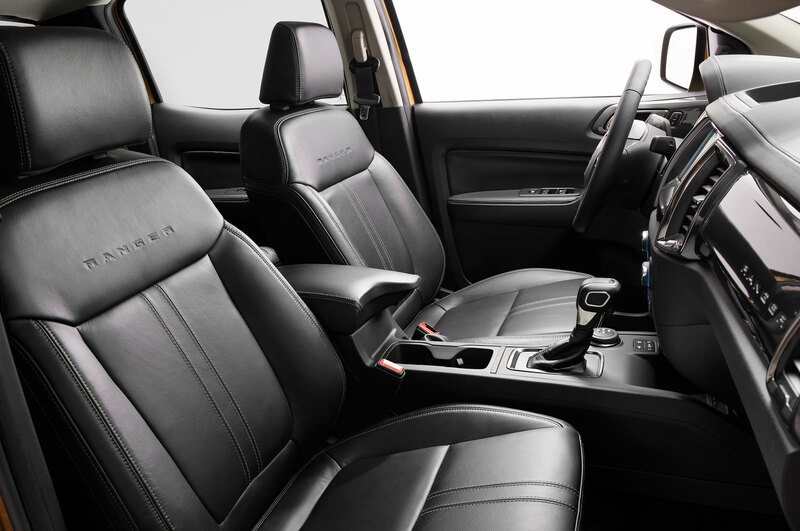 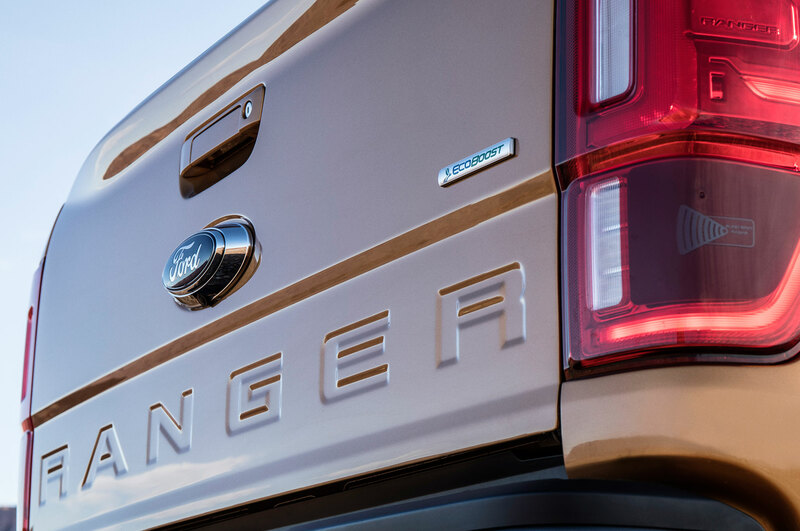 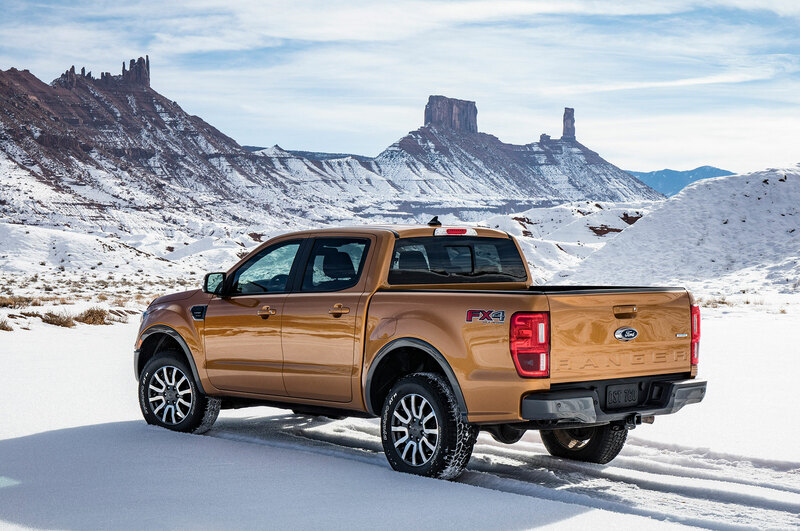 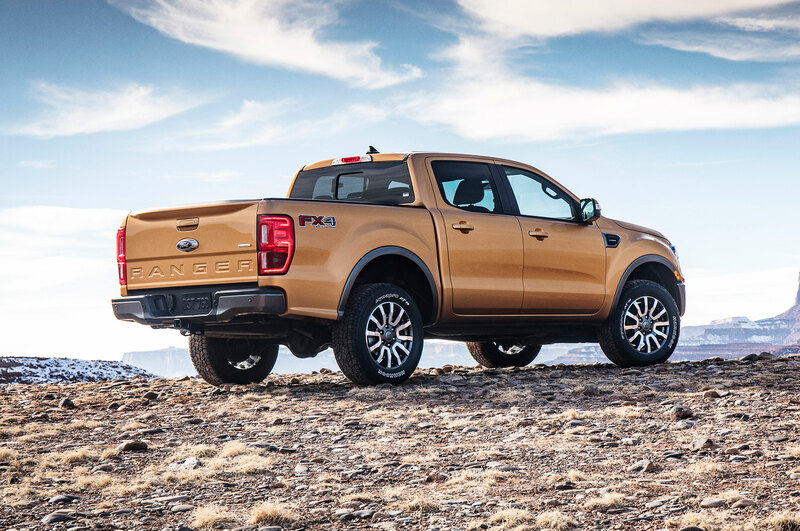 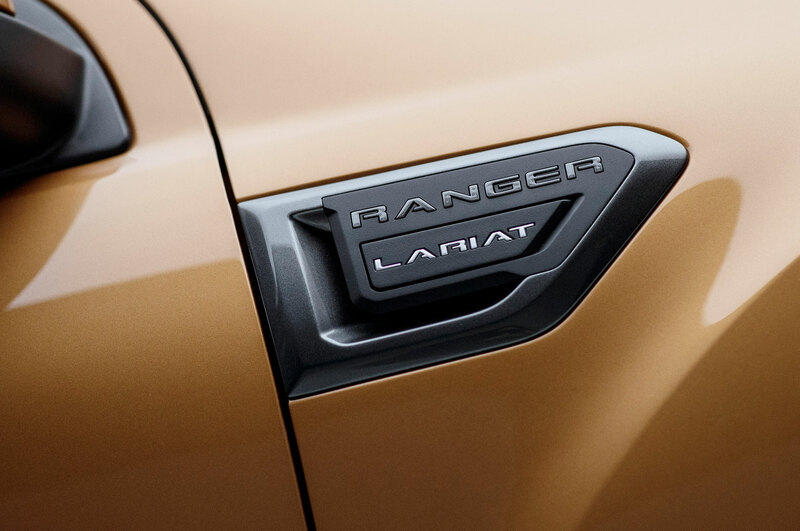 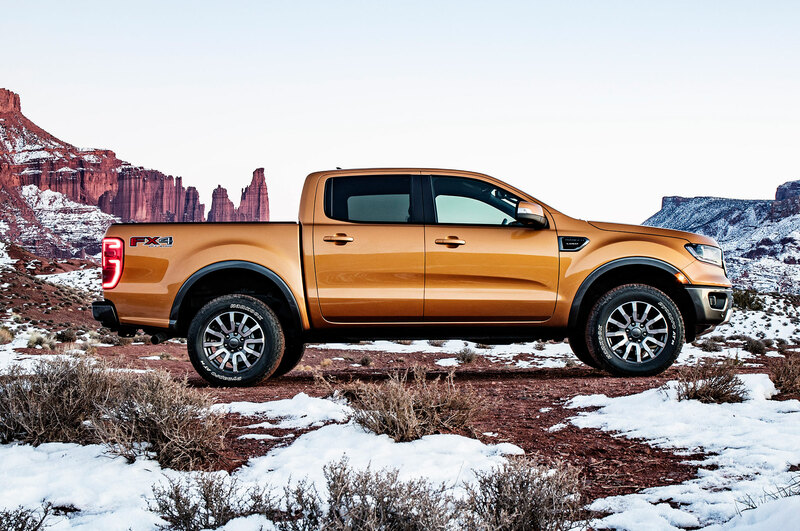 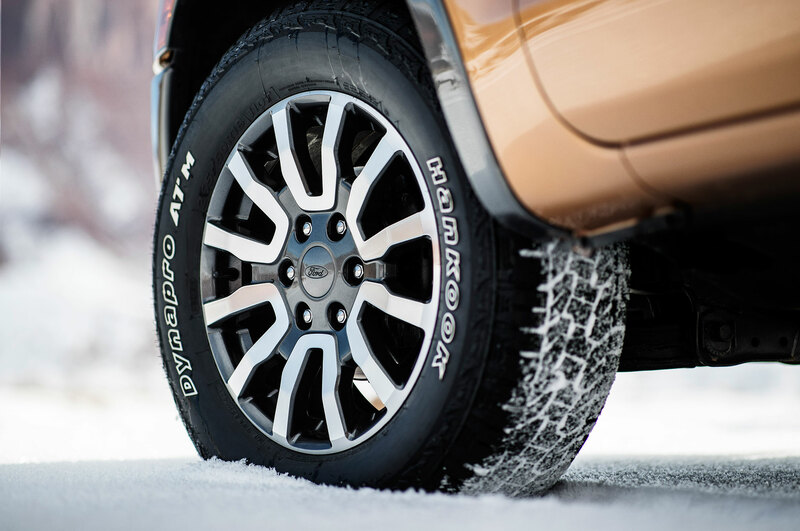 While most of the SUVs are car-based unibody models, big, body-on-frame heavy-duty trucks are also getting a huge amount of Ford’s attention. 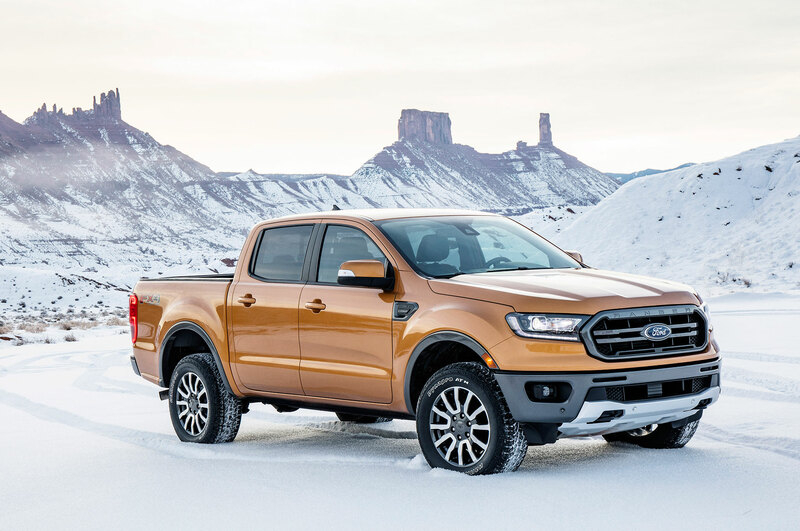 It’s as if the automaker figures these trucks could become its future, no matter what the future of personal transportation turns out to be. 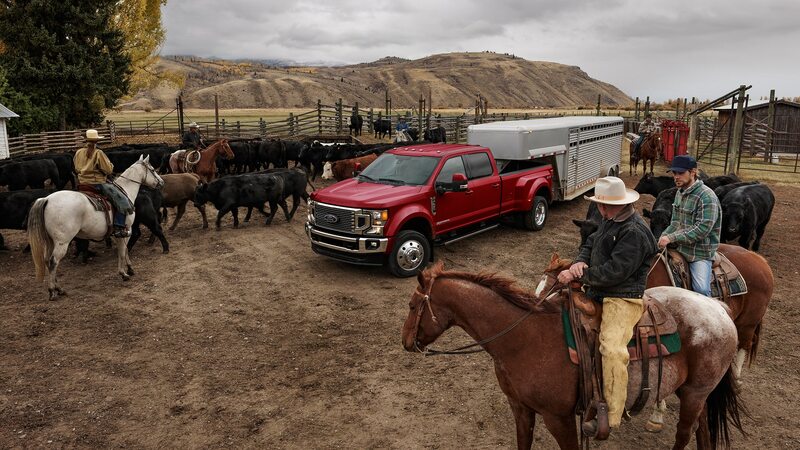 As part of that, the Super Duty trucks are receiving a mid-cycle update about three years into their product run. 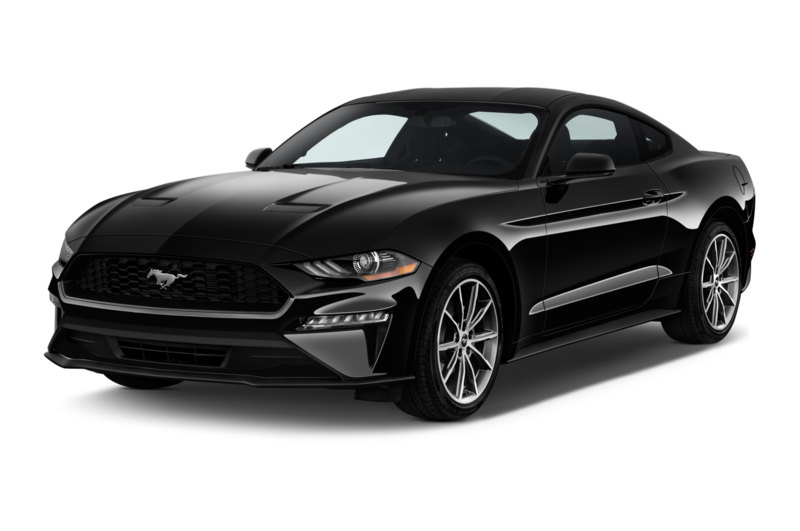 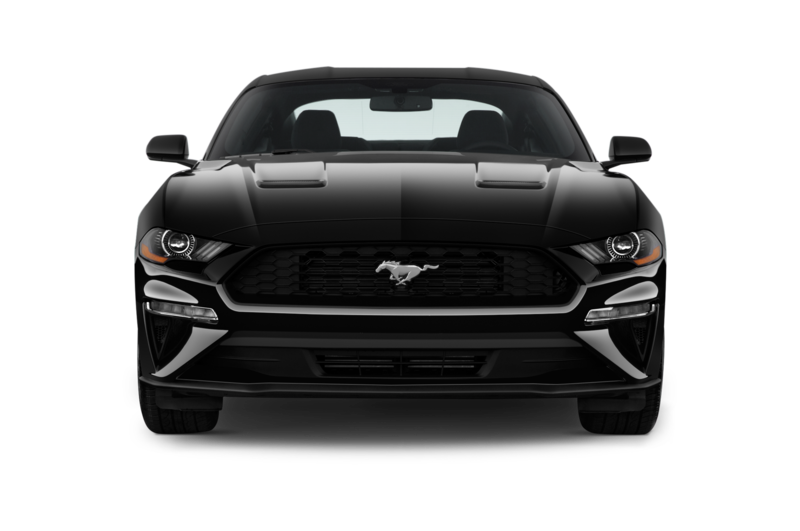 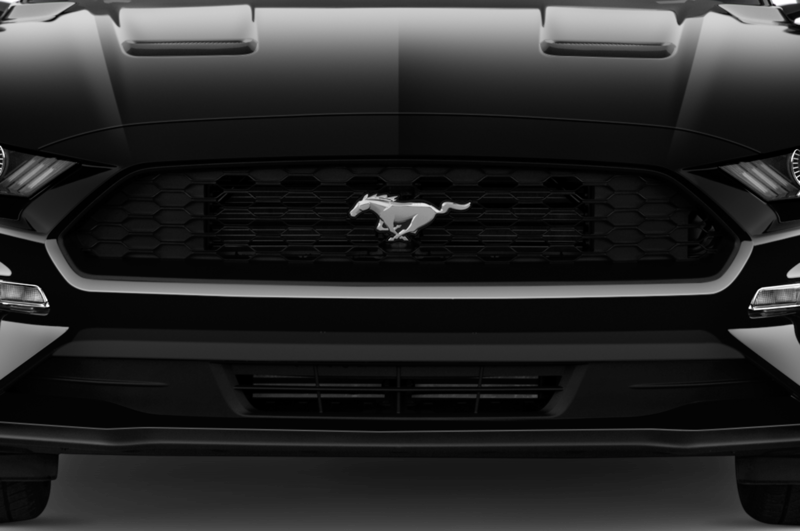 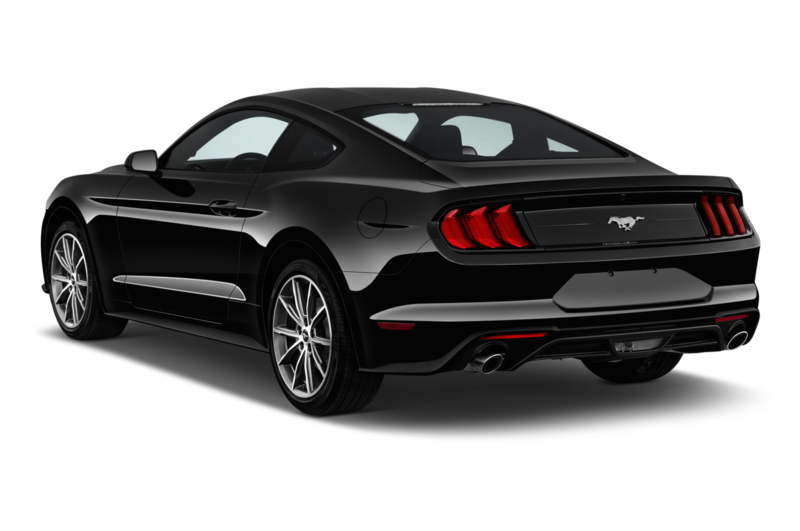 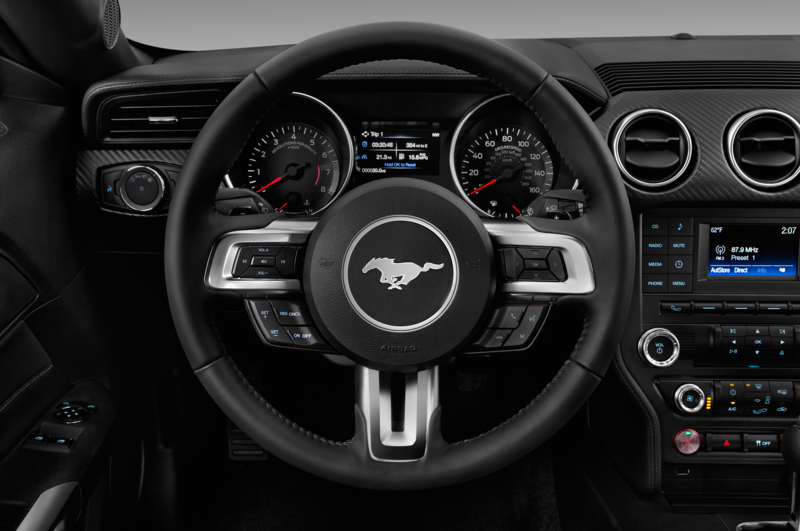 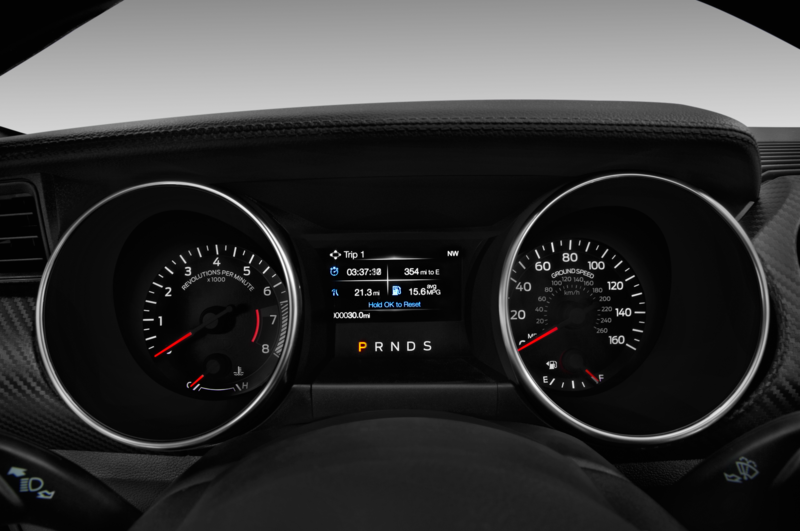 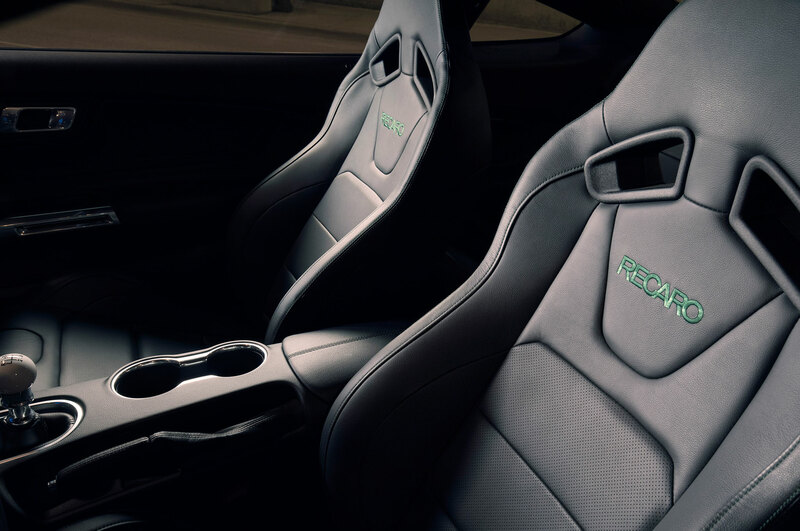 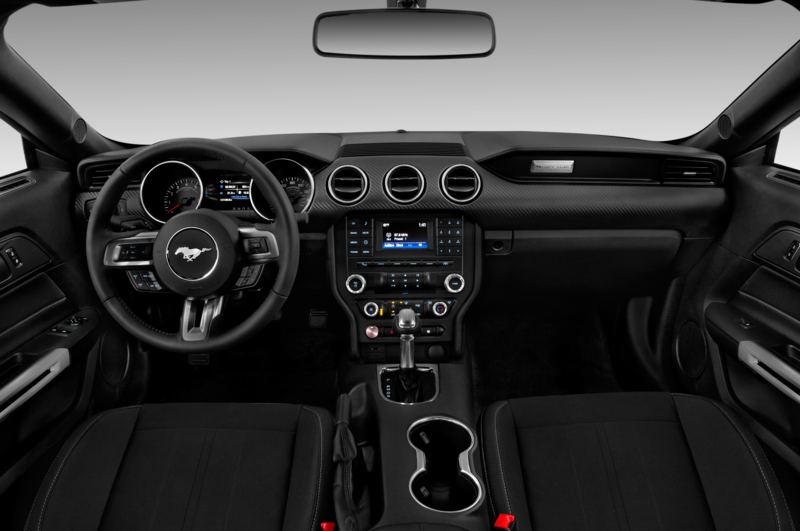 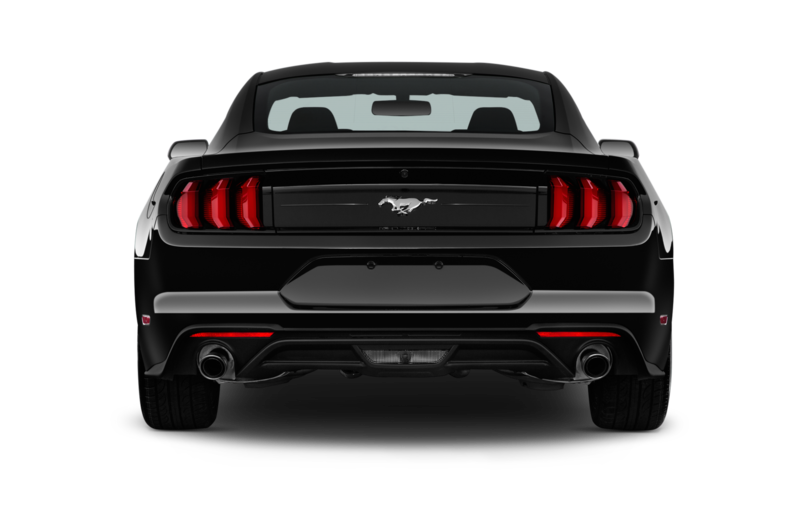 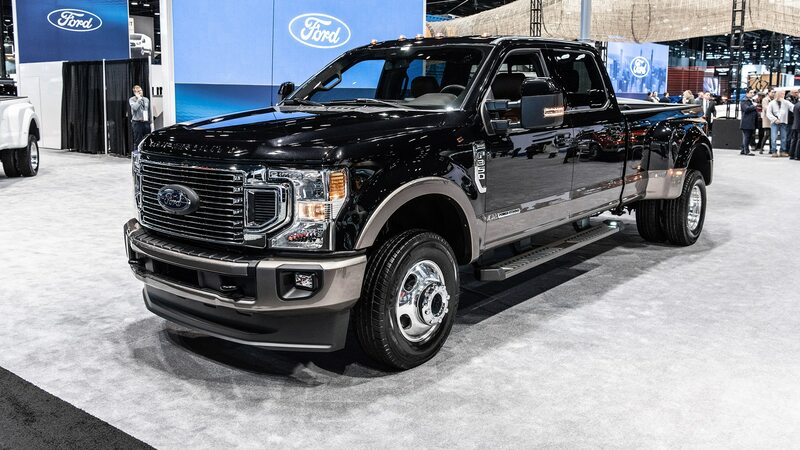 The update includes a 10-speed automatic transmission in place of a six-speed automatic, an updated Power Stroke diesel engine, and an all-new big-block gasoline V-8 replacing the old V-10. 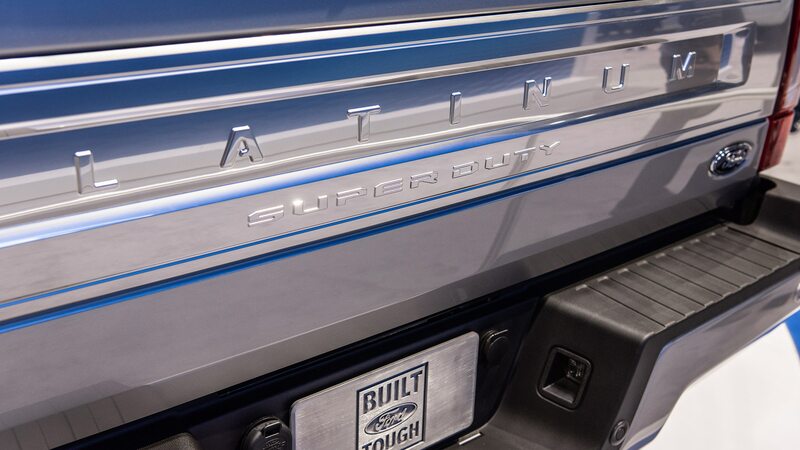 The new gas V-8 for all Ford Super Duty models from the F-250 to the F-750 is a 7.3-liter—that’s 445 cubic inches—engine that’s more powerful than the 6.8-liter V-10 it supplants, although the automaker isn’t revealing specifics just yet. 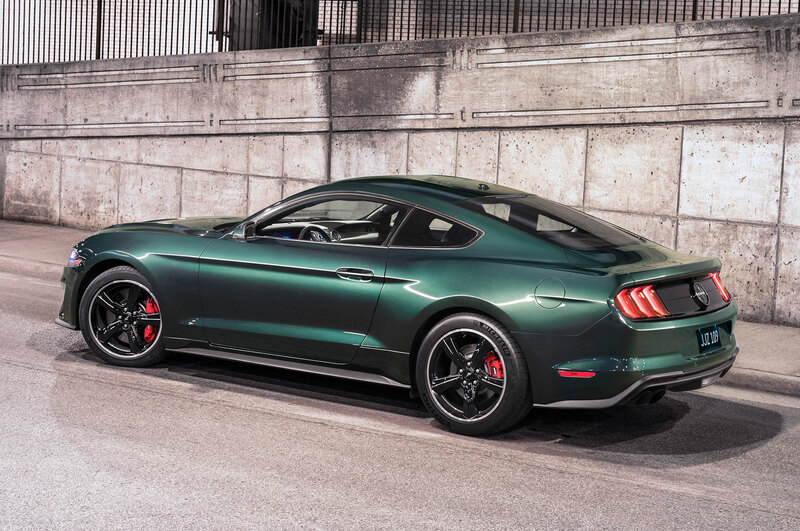 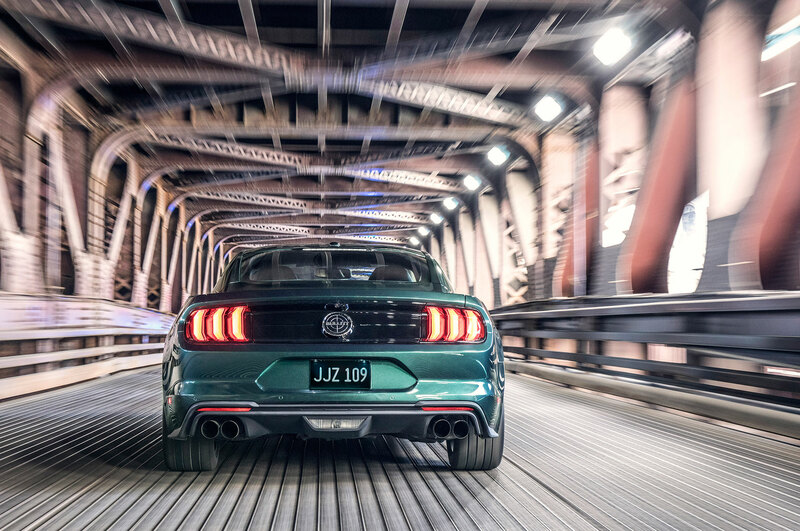 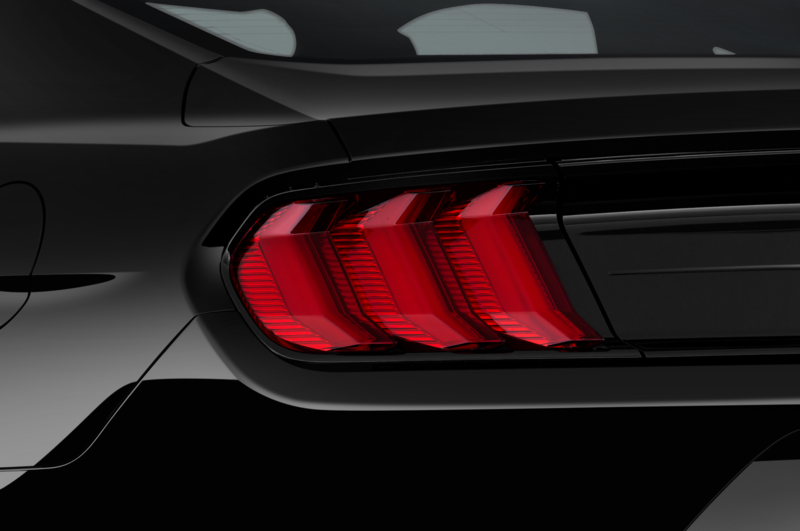 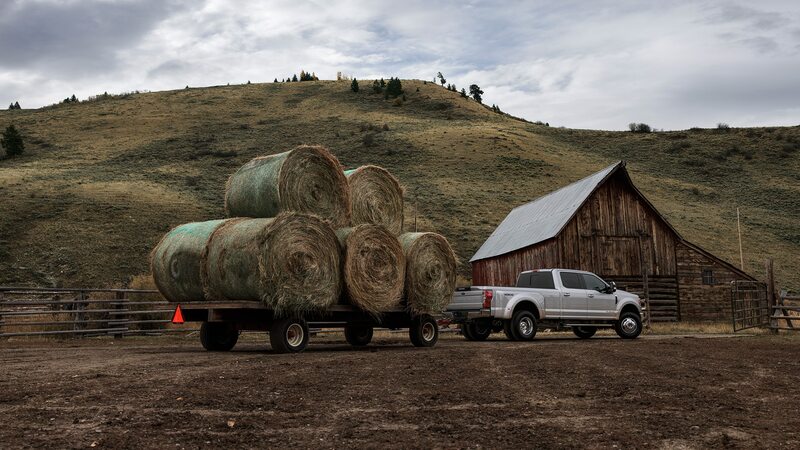 The 2020 Ford Super Dutys go on sale this fall. 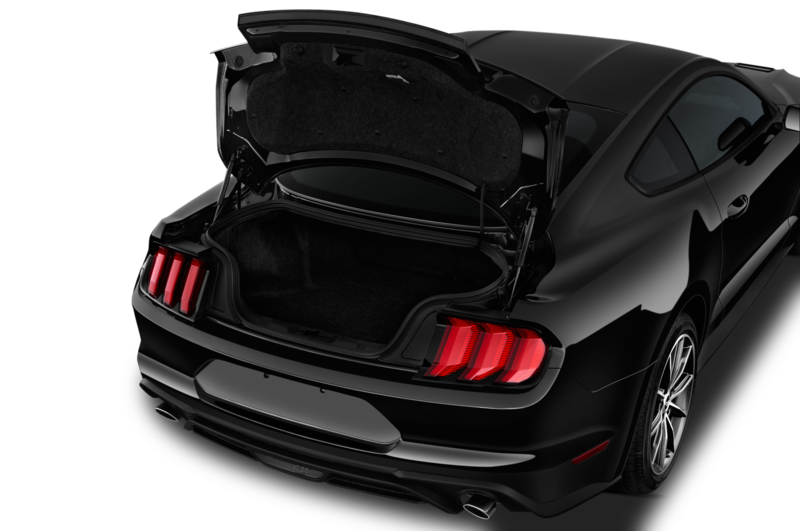 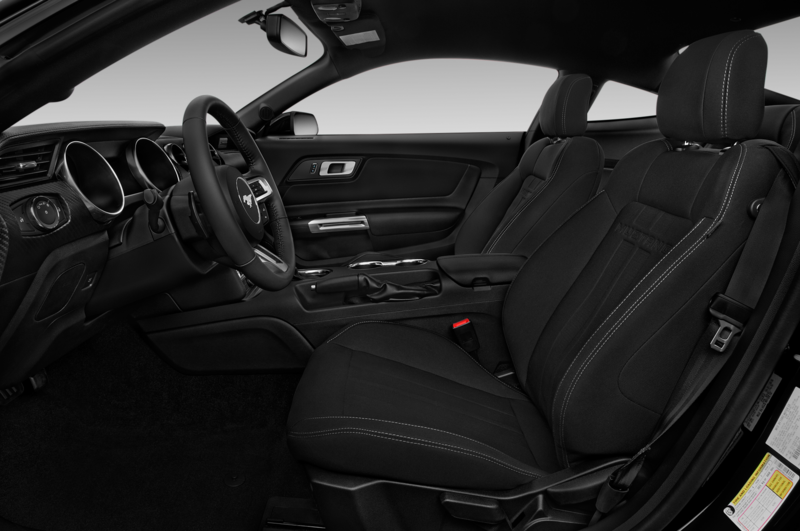 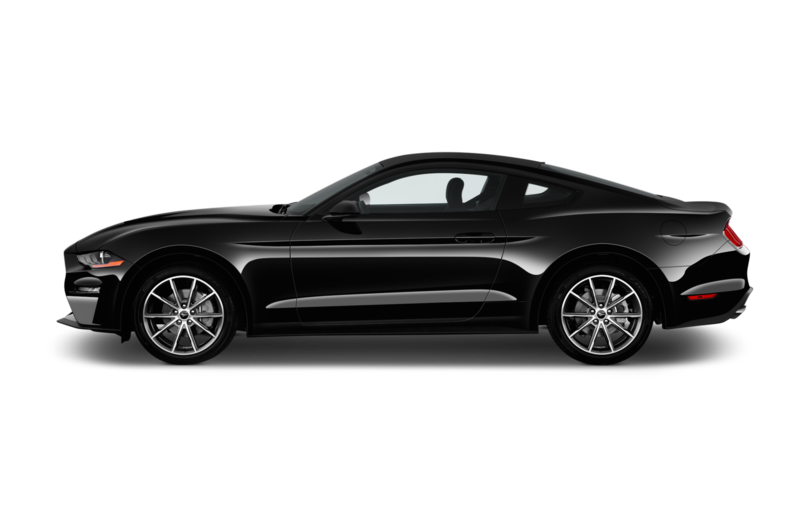 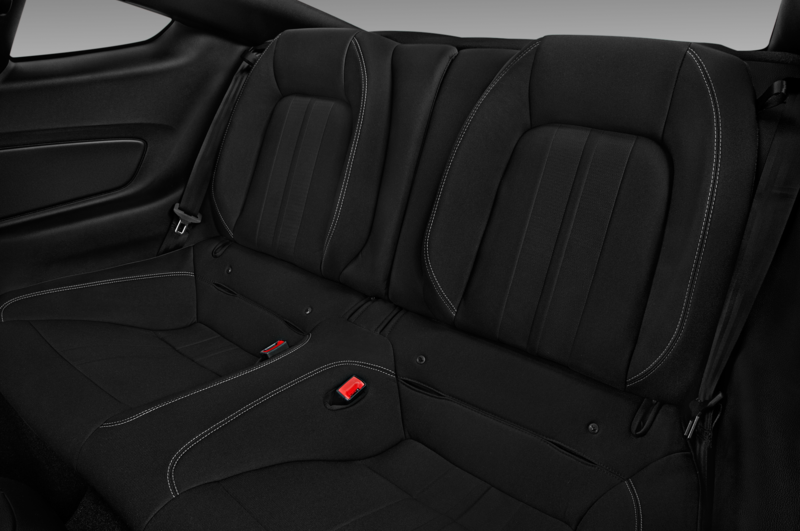 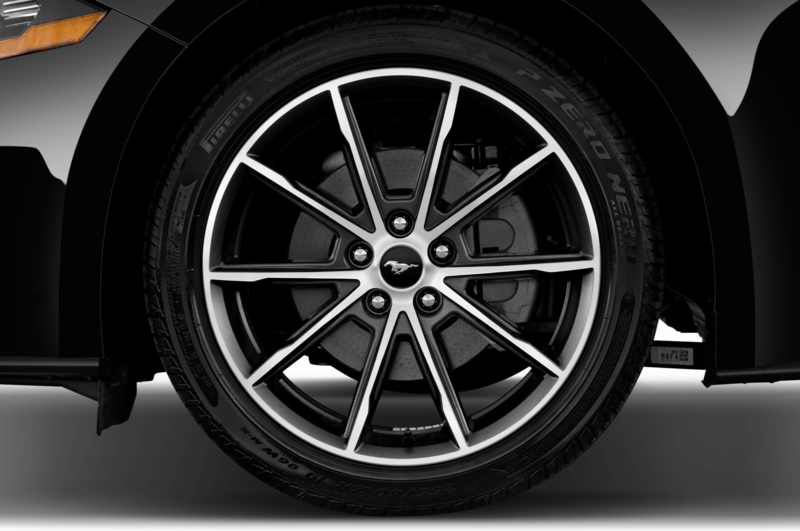 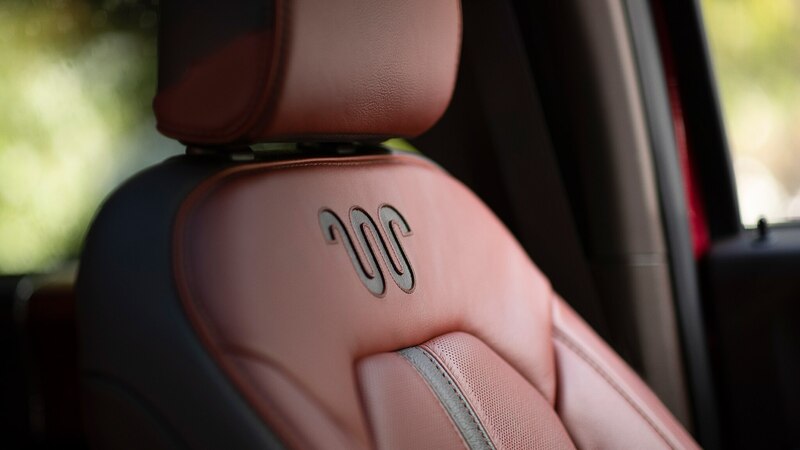 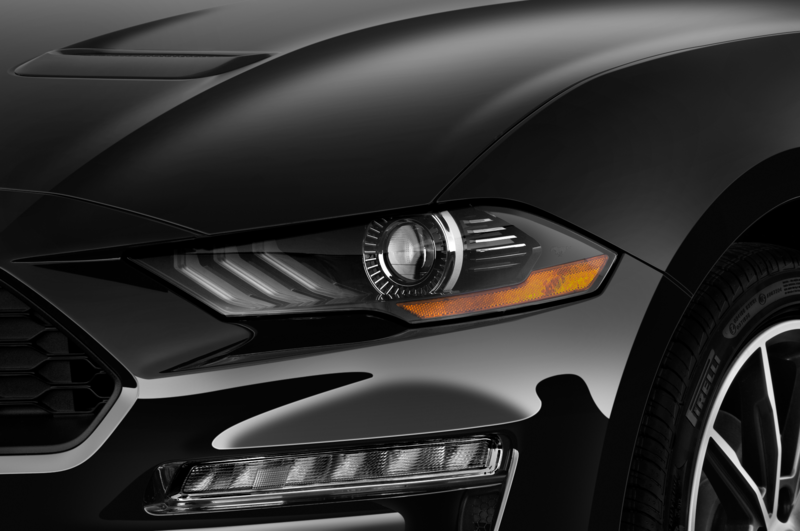 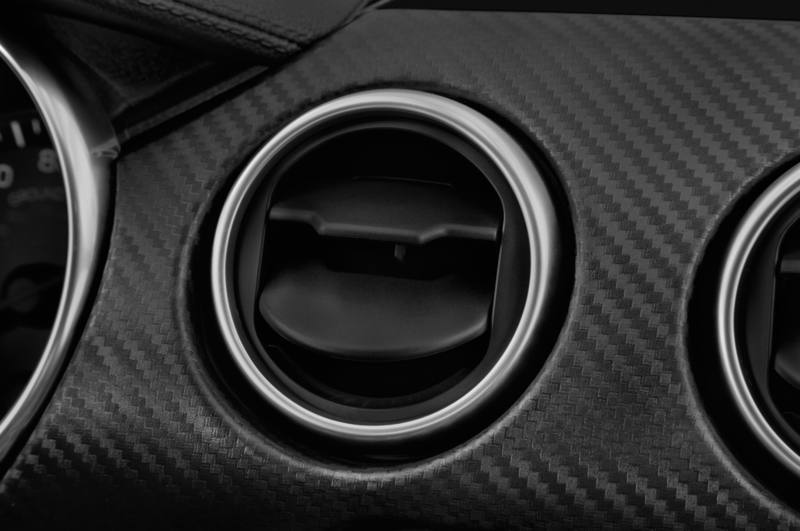 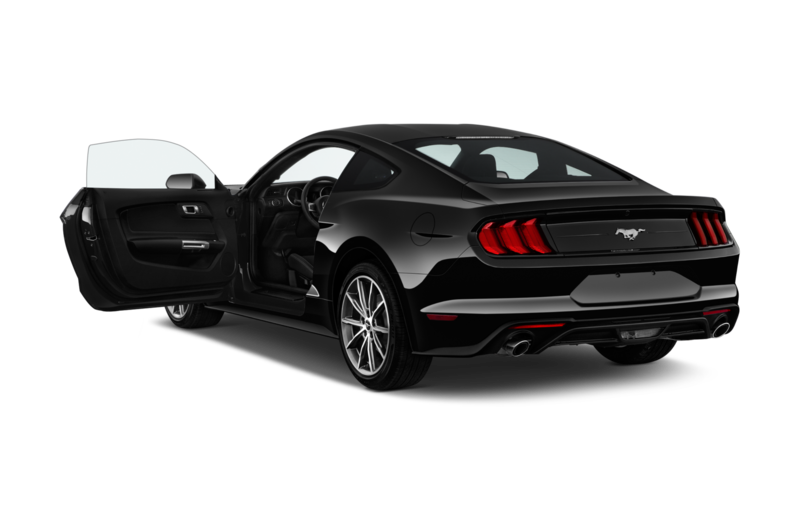 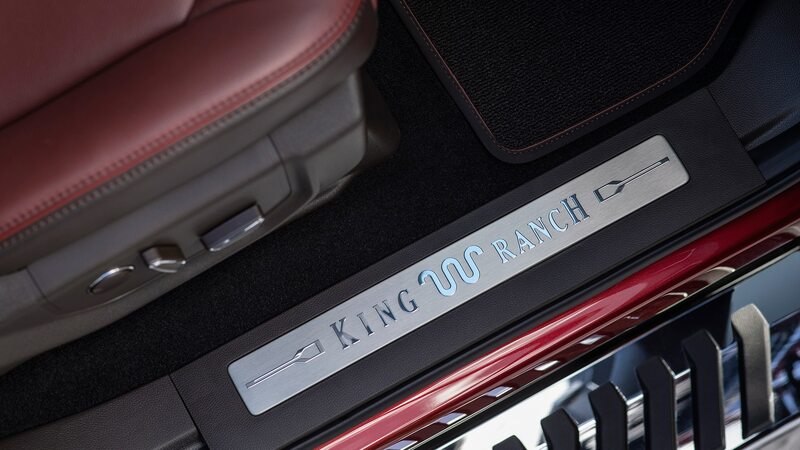 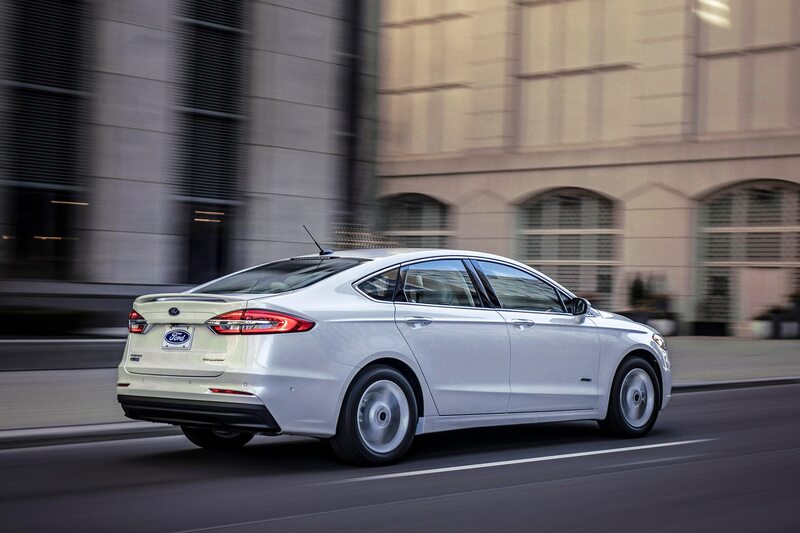 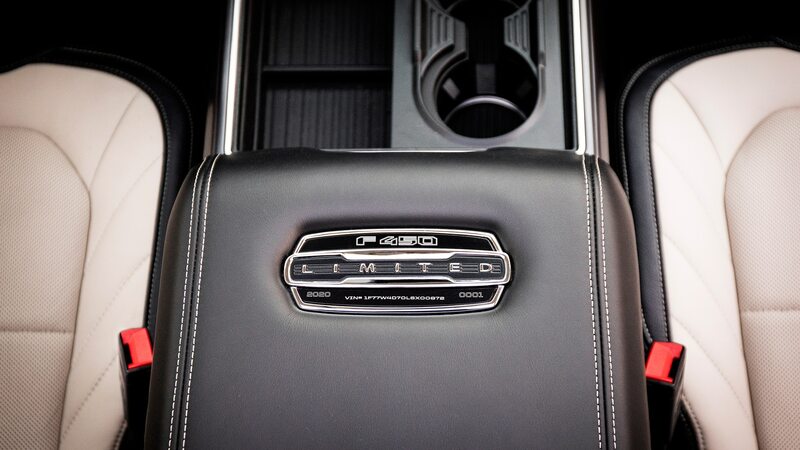 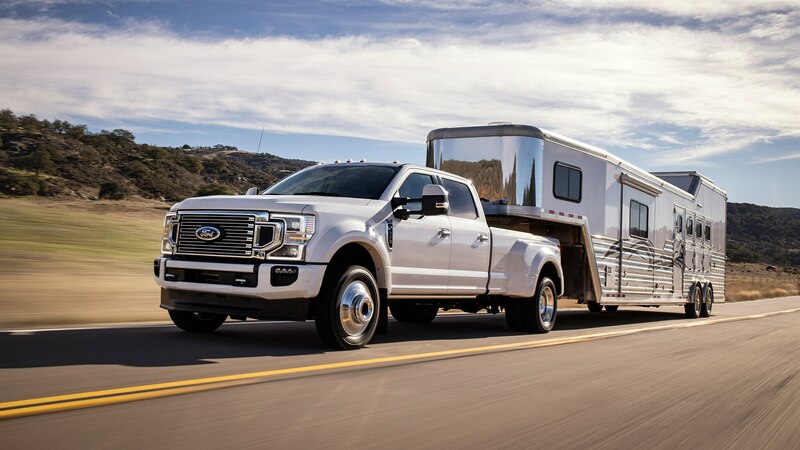 The outgoing engine is rated for 362 horsepower and 457 lb-ft of torque, and can tow up to 33,000 pounds. 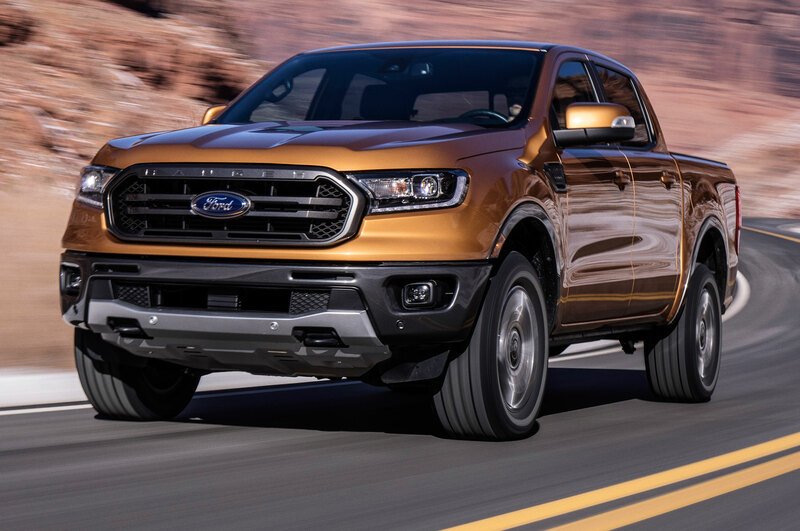 The new models will have the highest payload ratings of any truck on the U.S. market, says powertrain chief Dave Filipe. 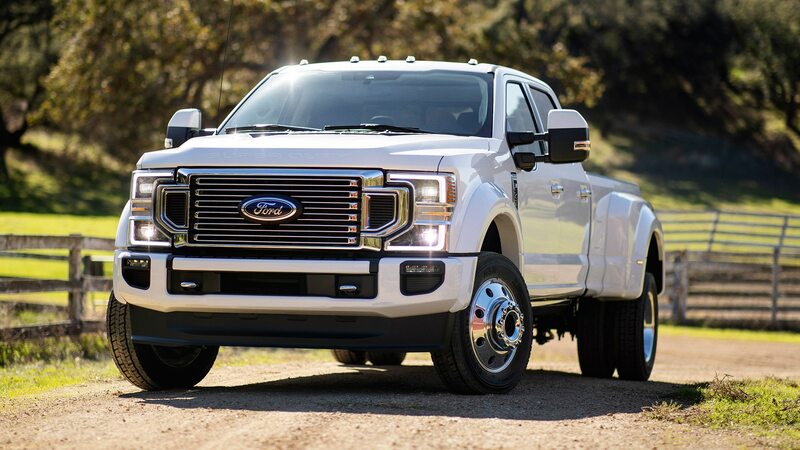 The 7.3-liter gas V-8 will make maximum torque at low rpm, and a compressed-natural-gas conversion kit will be available. 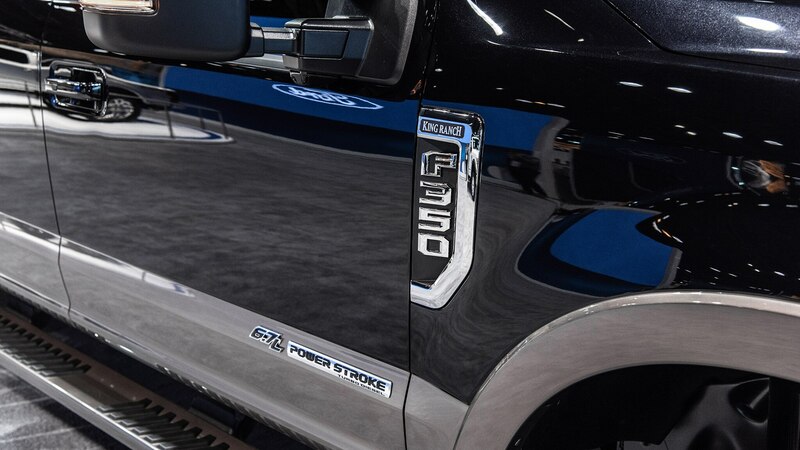 Ford’s 6.2-liter gas V-8 carries forth as a base engine for the trucks. 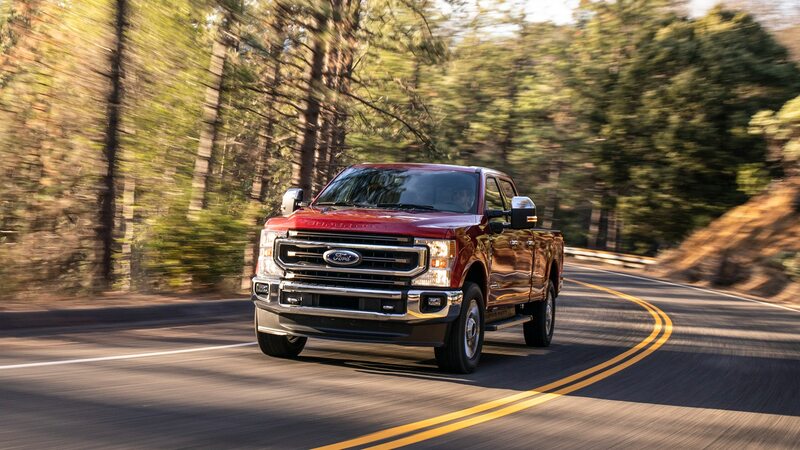 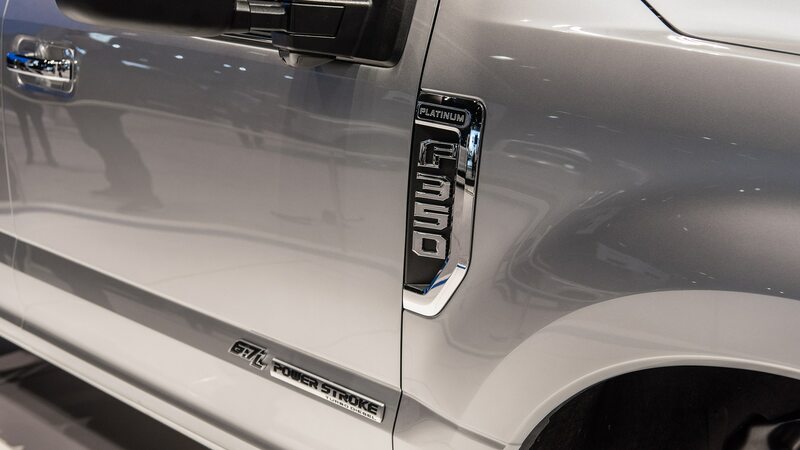 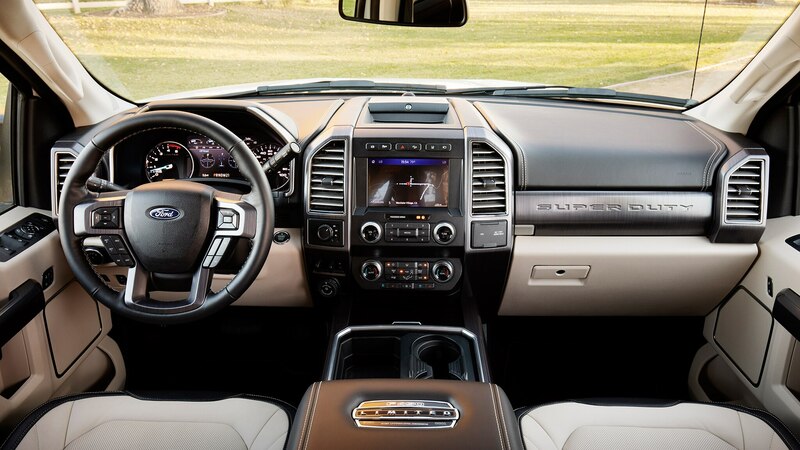 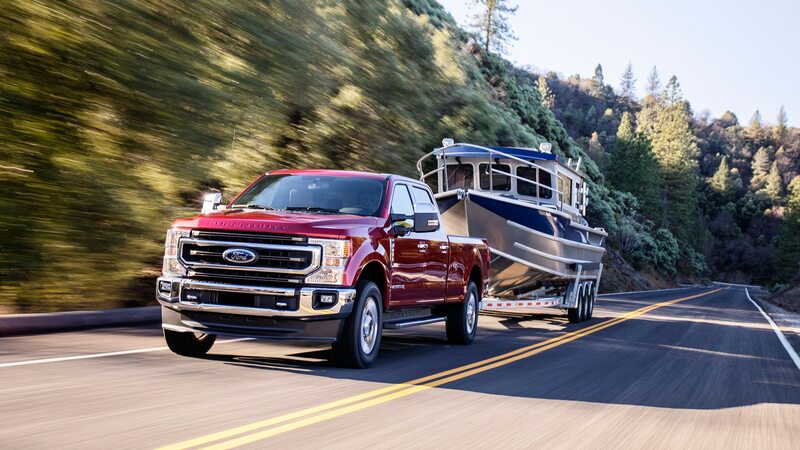 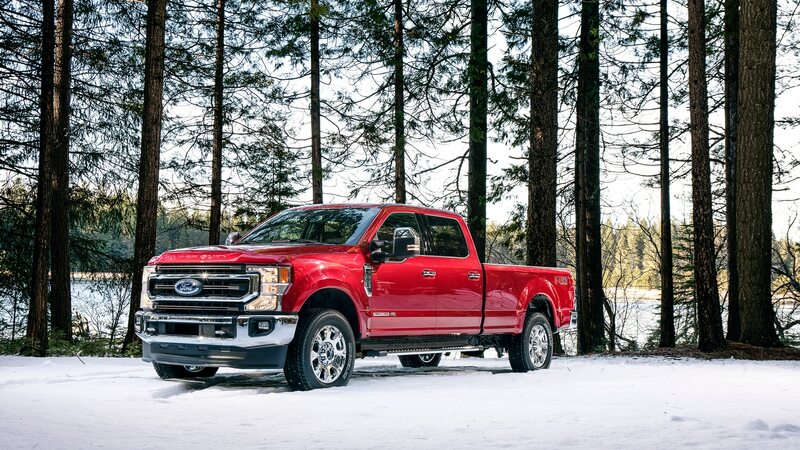 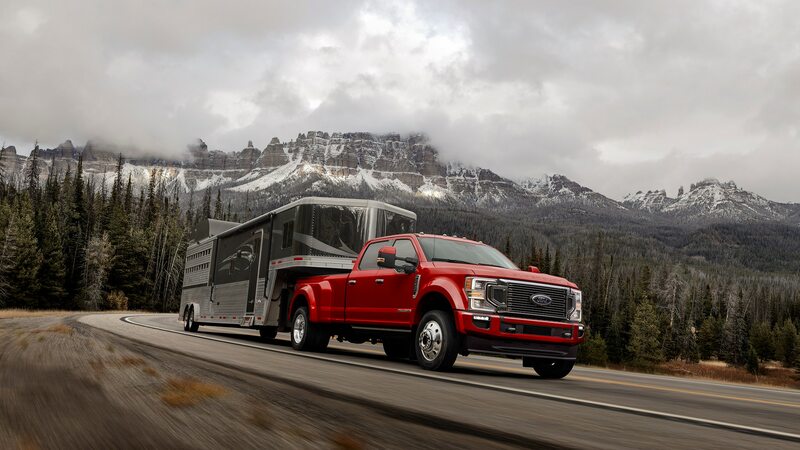 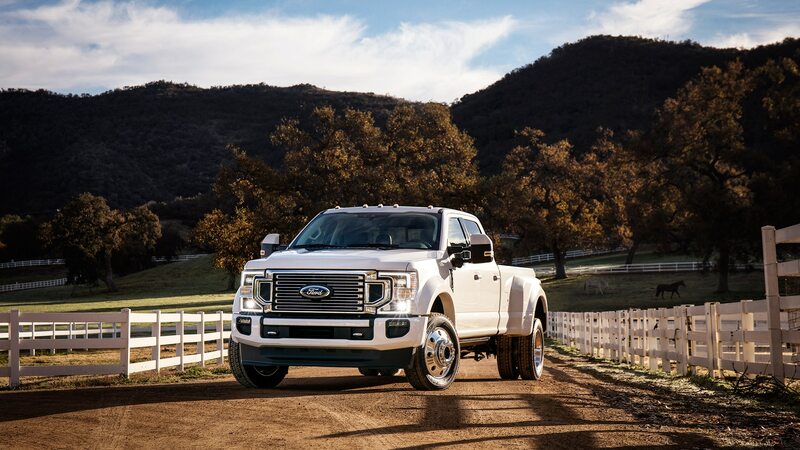 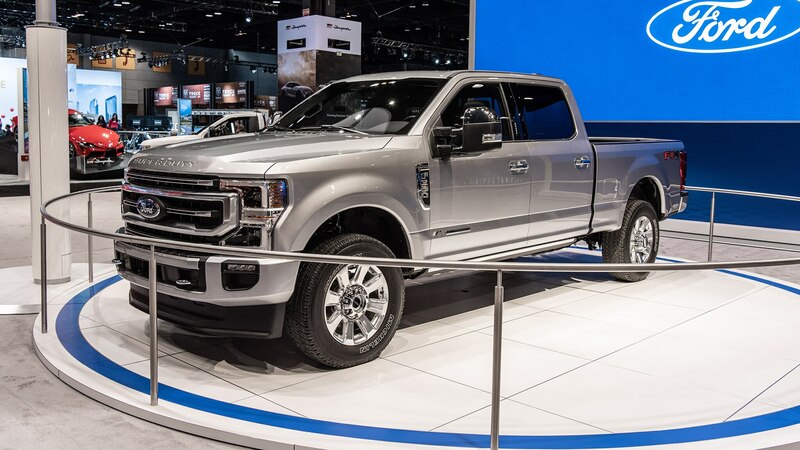 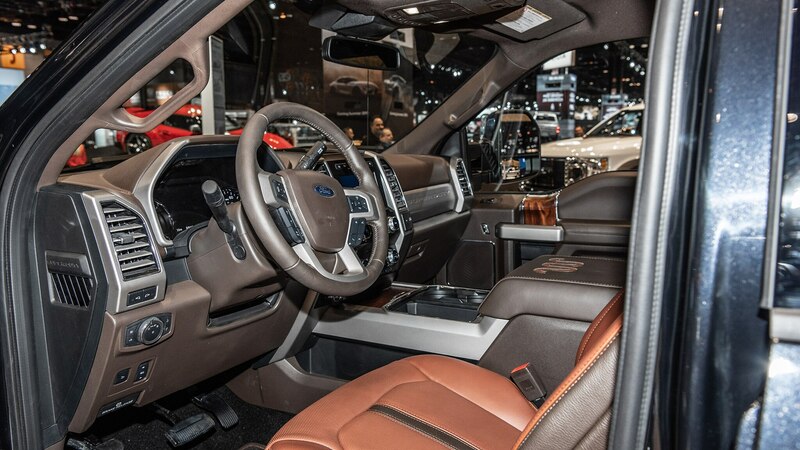 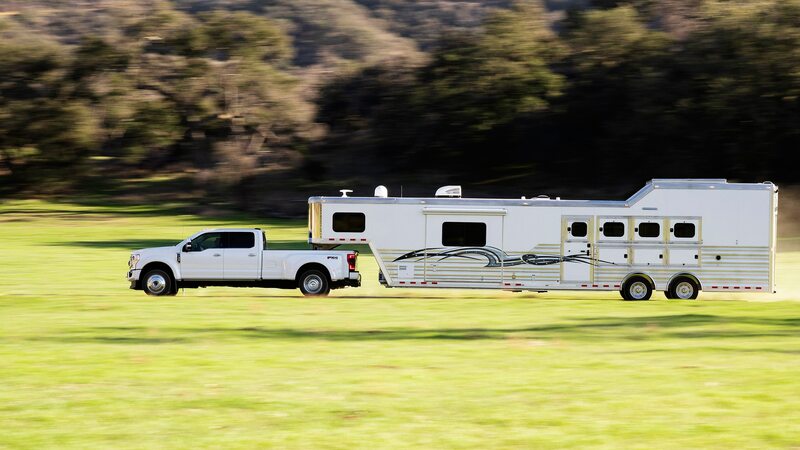 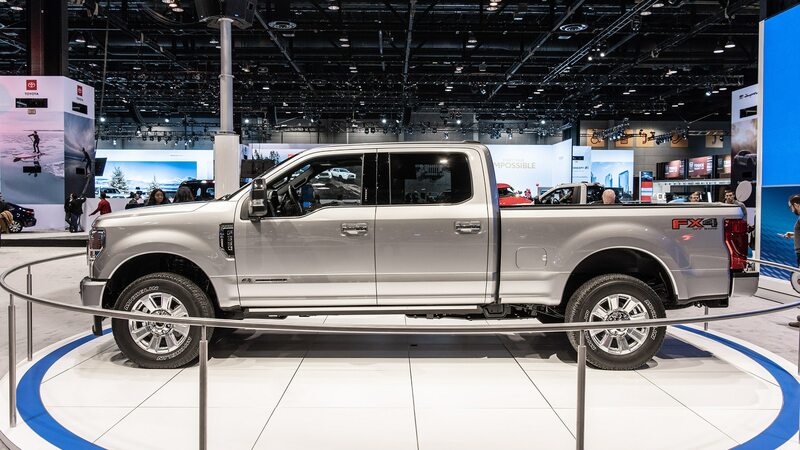 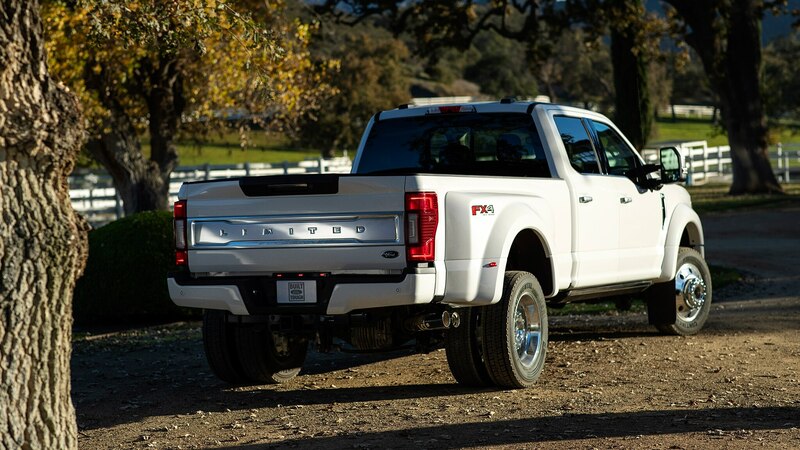 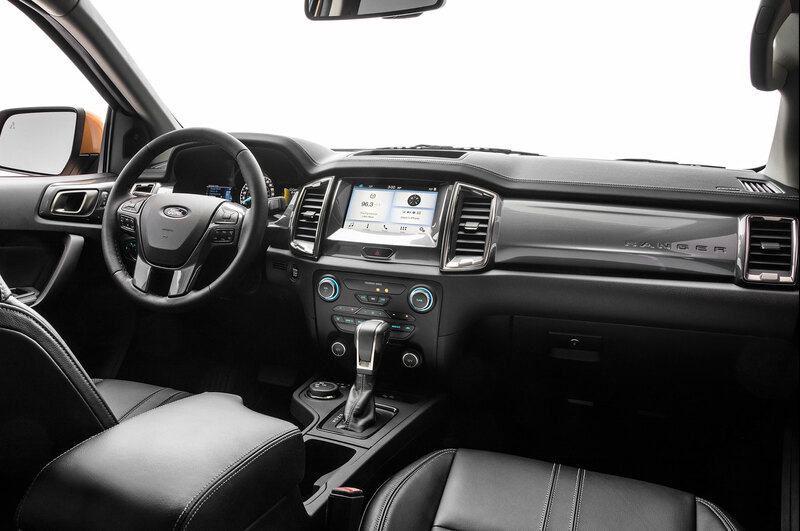 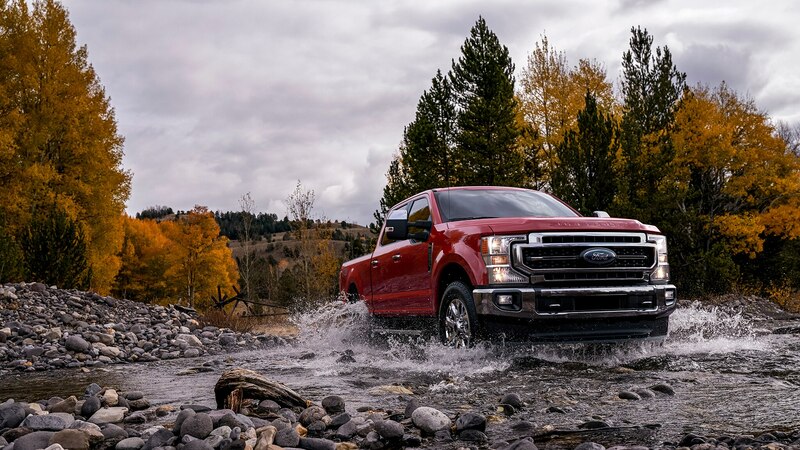 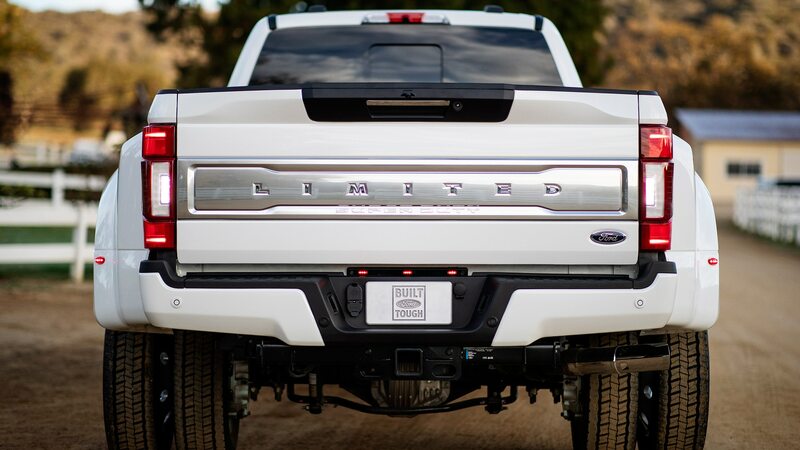 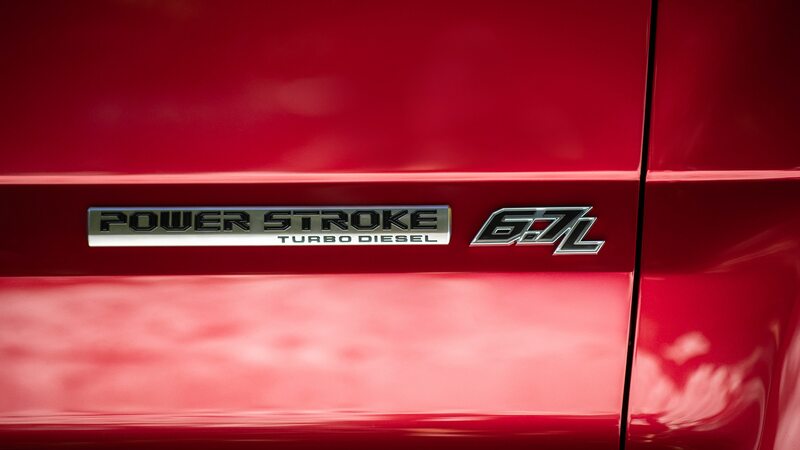 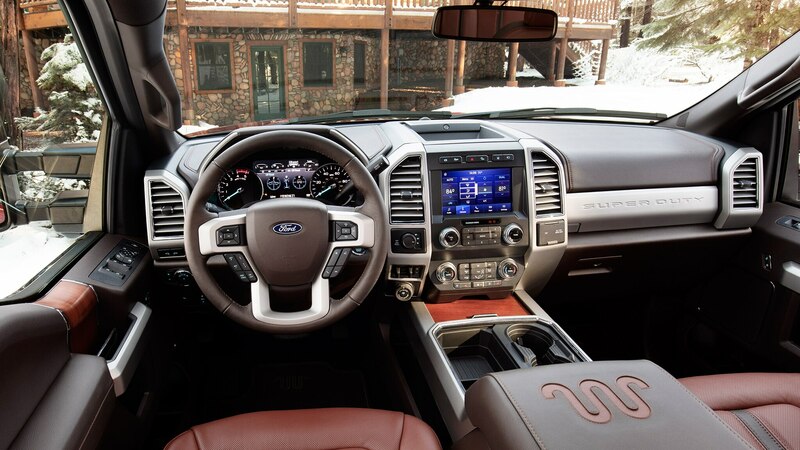 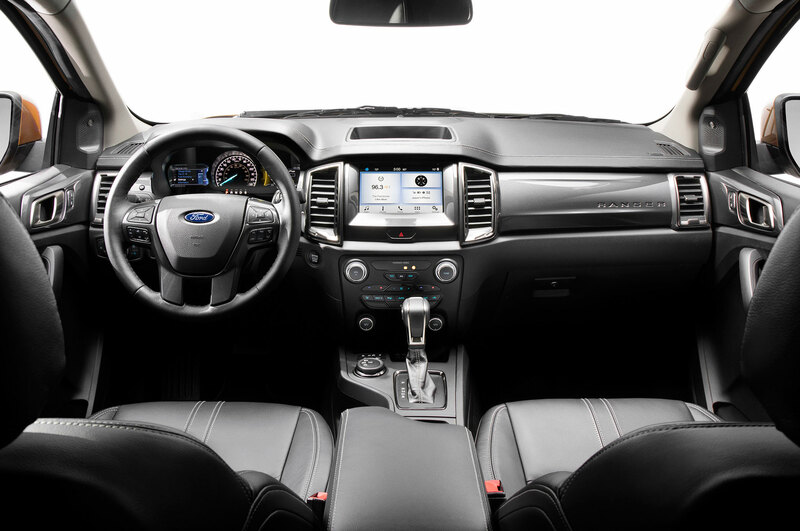 The 6.7-liter Power Stroke diesel is upgraded with a new fuel-injection system and a new, bigger turbocharger, which remains located in the valley of the engine’s vee. 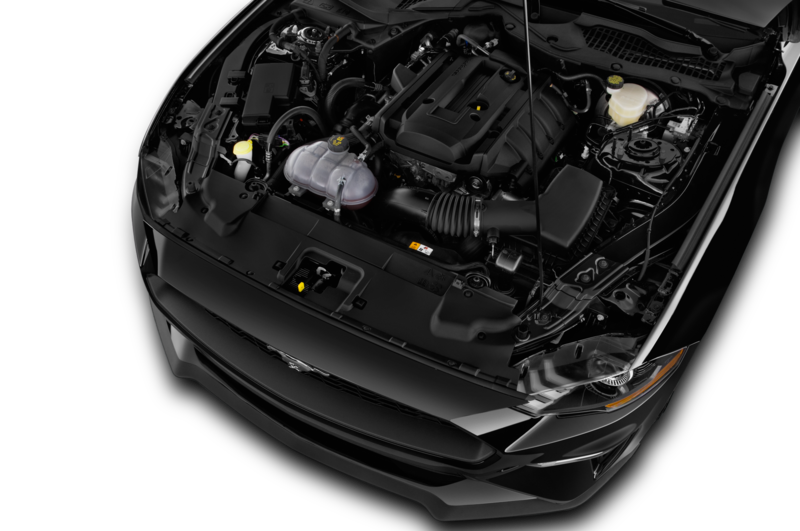 The engine block and cylinder head also are upgraded. 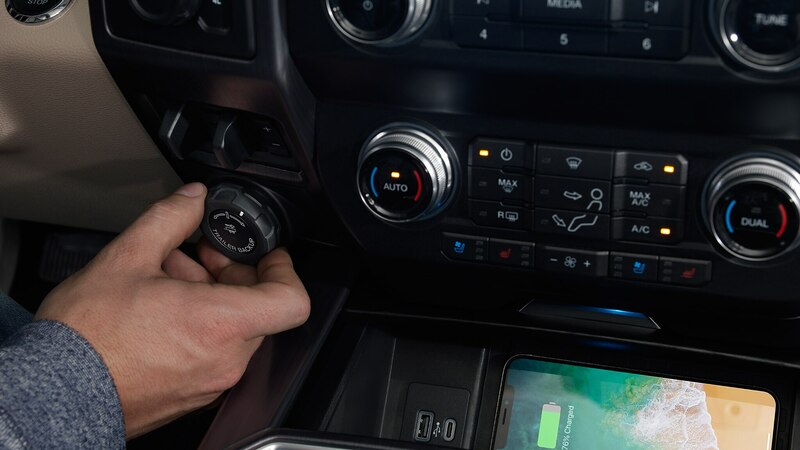 Both gas engines and the diesel are paired to the new 10-speed Torqueshift automatic transmission, calibrated for heavy-duty use, and a class-exclusive “live drive” power takeoff feature. 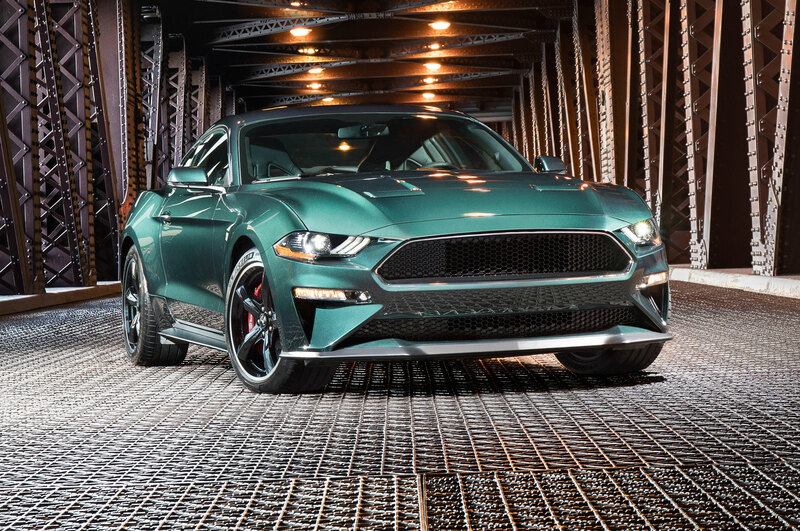 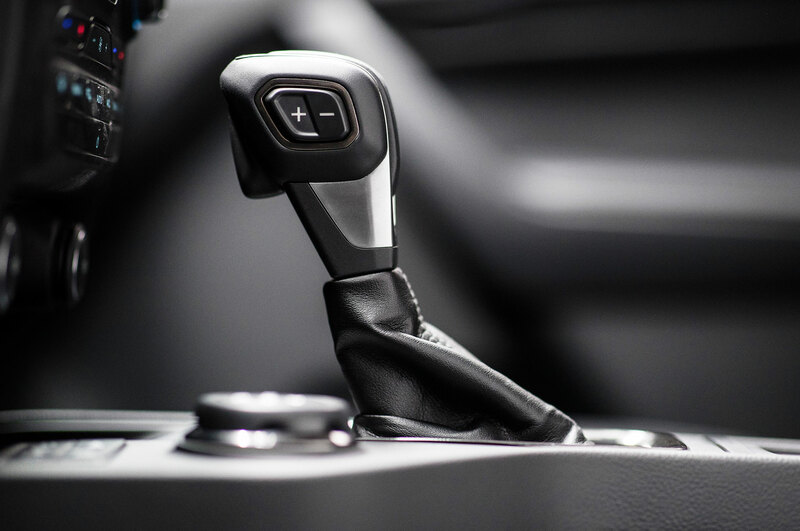 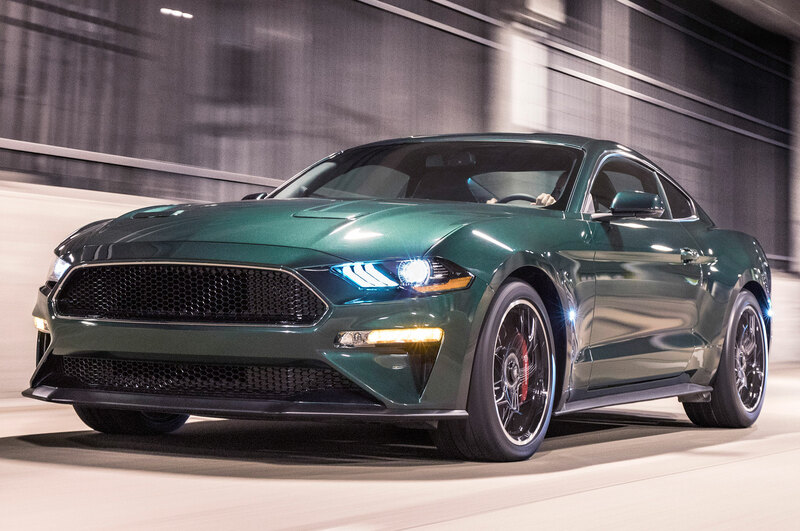 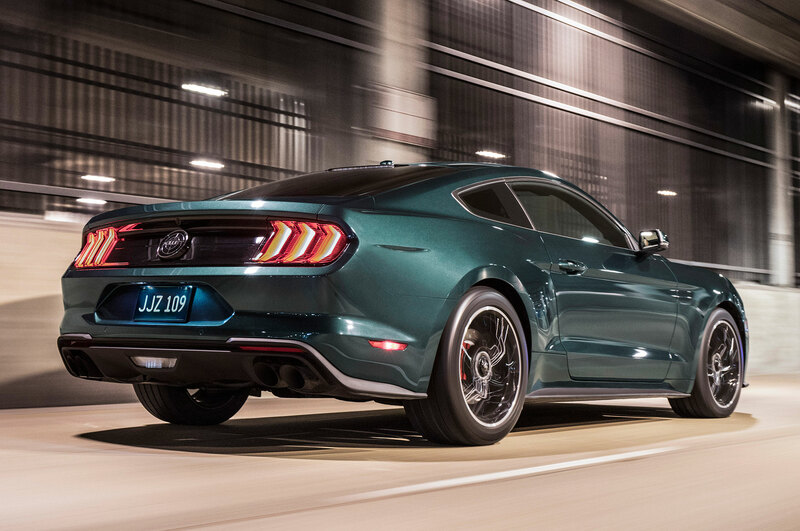 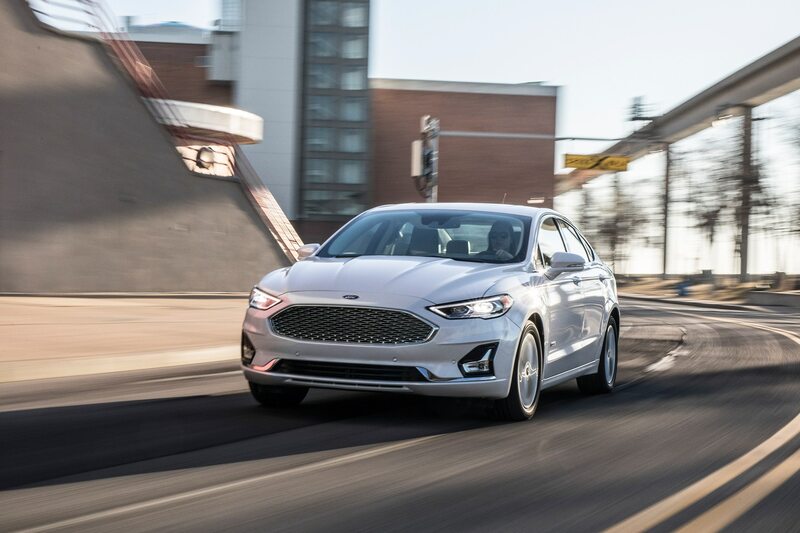 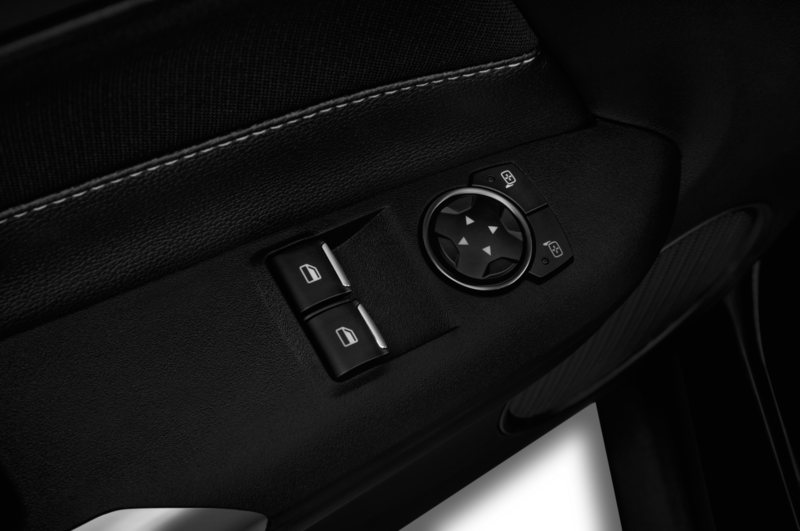 The 10-speed weighs just 3.5 pounds more than the current six-speed automatic, and it fits in the same space, Ford says. 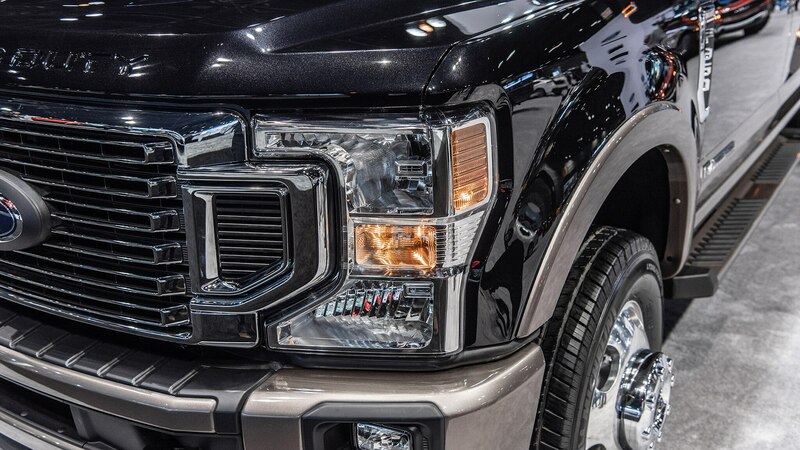 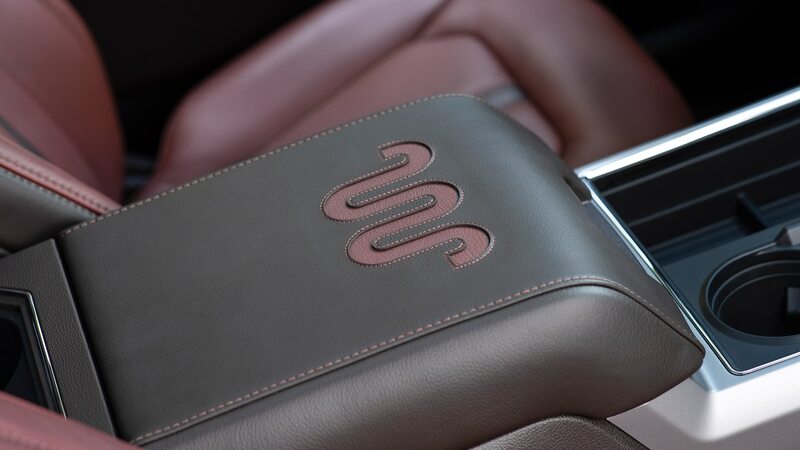 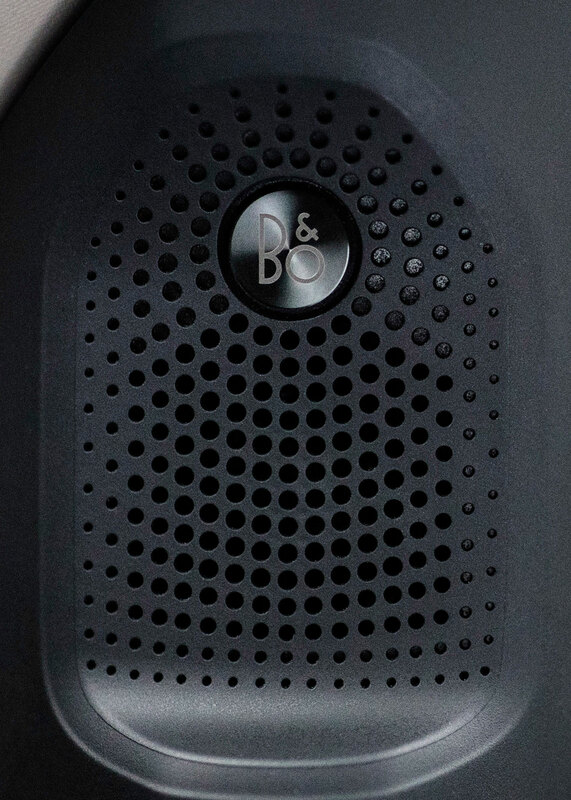 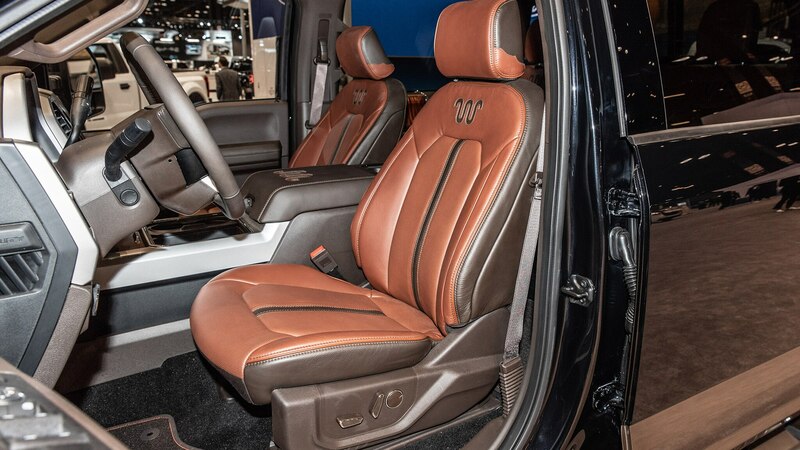 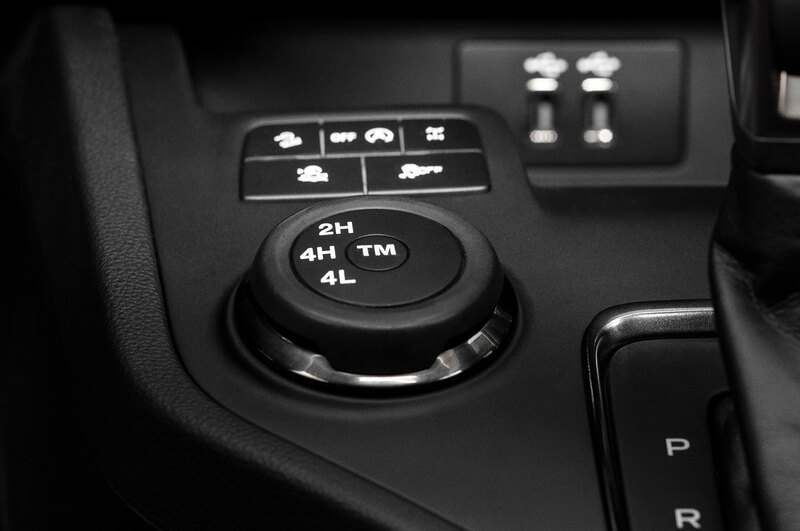 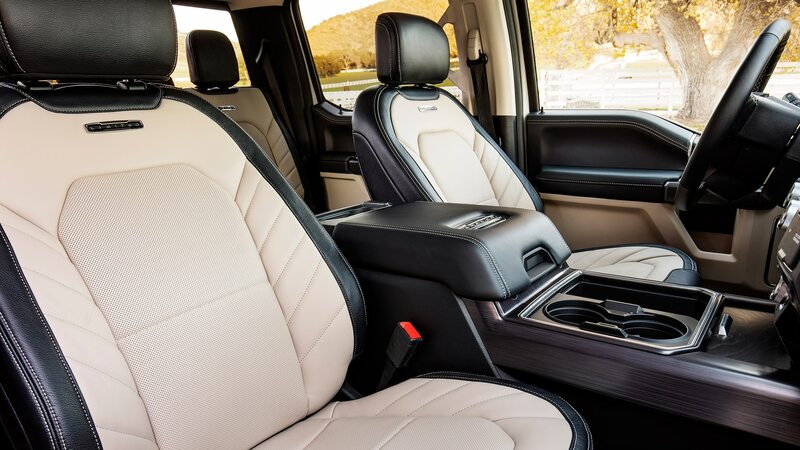 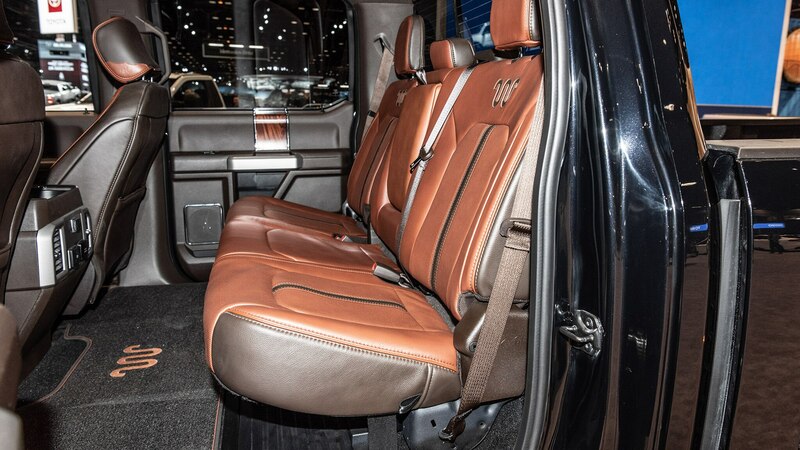 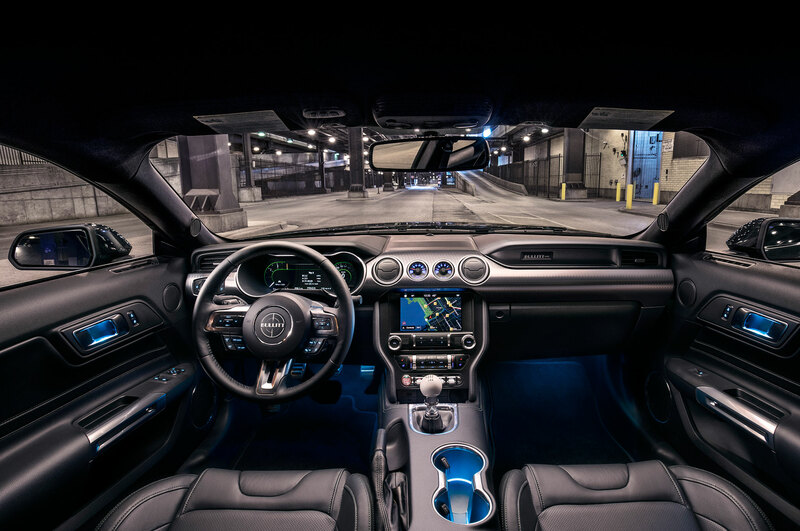 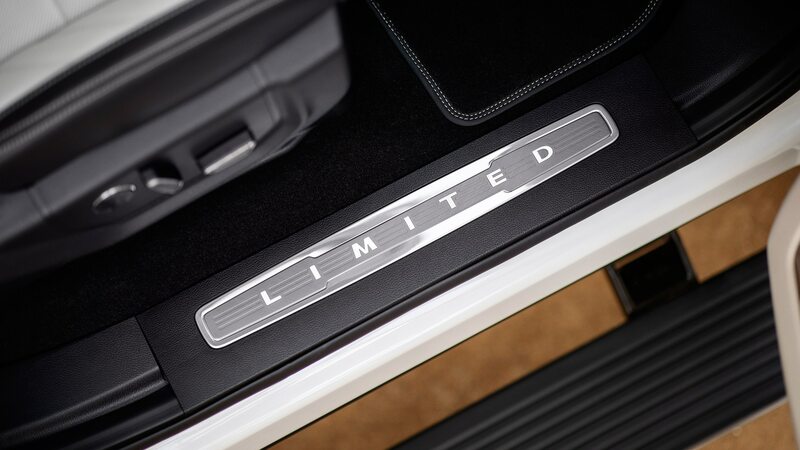 The trucks come standard with an embedded 4G modem, redesigned grilles and front bumpers, new taillamp designs, seven new wheel designs, improved ingress and egress, and better bed access. 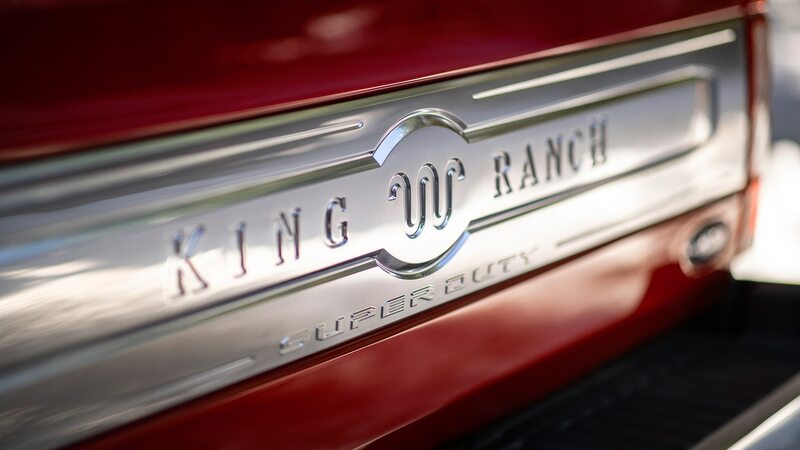 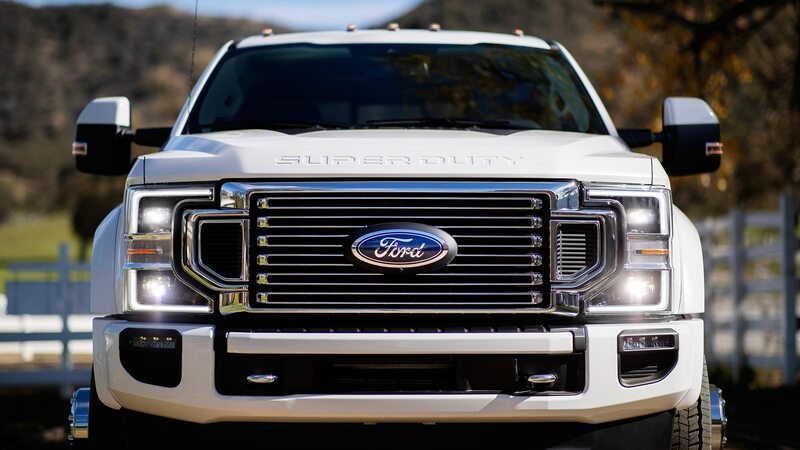 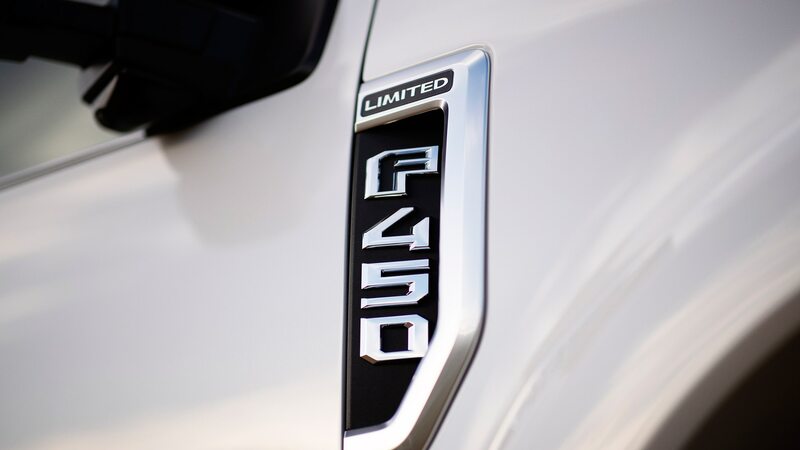 About two-thirds of Super Duty customers choose the diesel engine option, Ford says, and there are no expectations that the take rate will change with the new and updated engines. 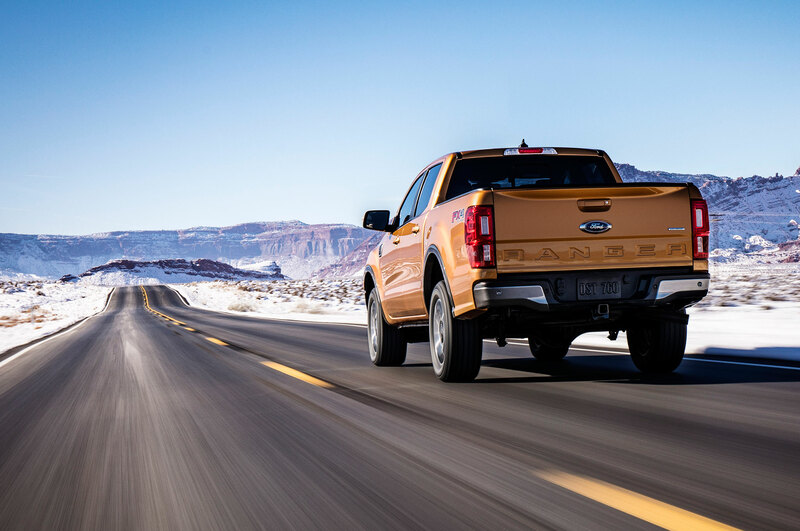 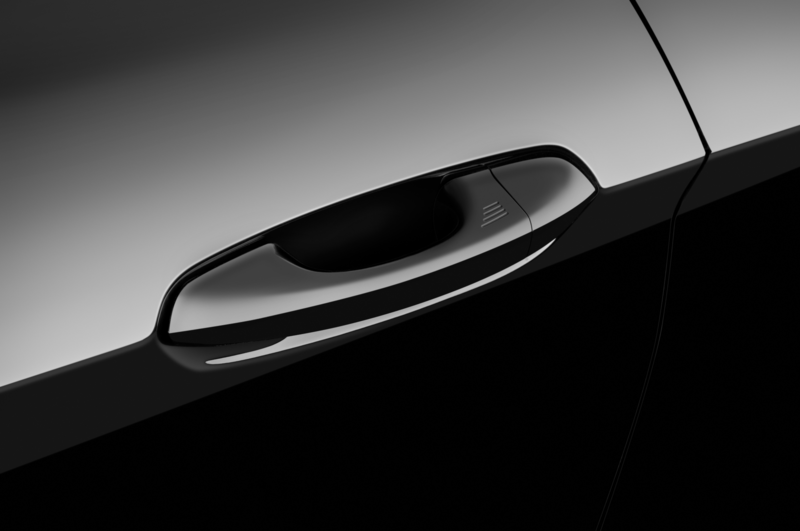 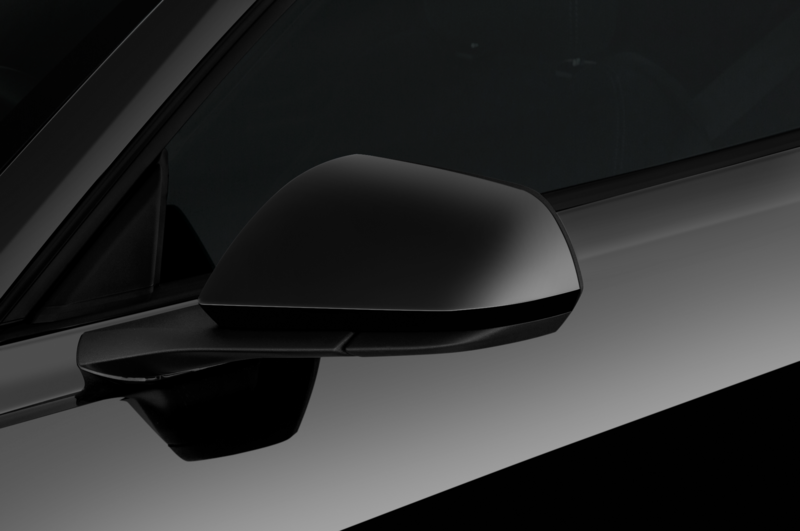 New safety features standard on some higher trim levels and optional on lower trims include lane-keep assist, a blind-spot warning system with trailer coverage, and pre-collision assist. 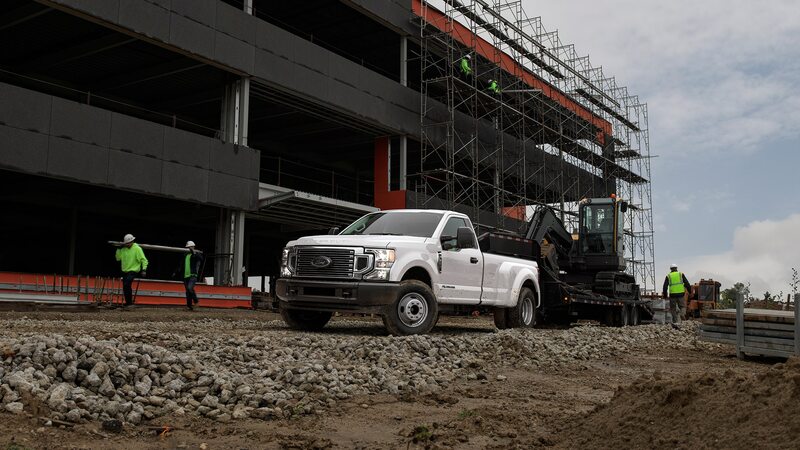 Ford has 44 percent of the commercial truck and van market, Galhotra said. 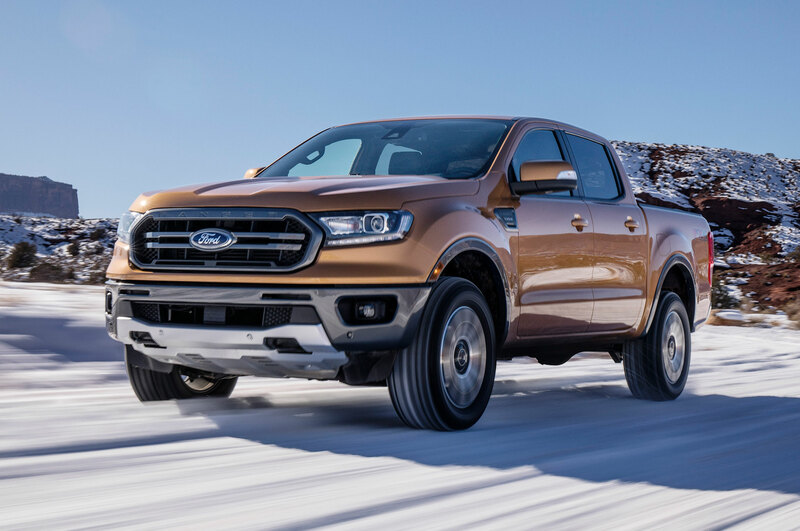 “We outsell the next four competitors combined.” And that’s even before the recently announced commercial vehicle alliance with Volkswagen Group. 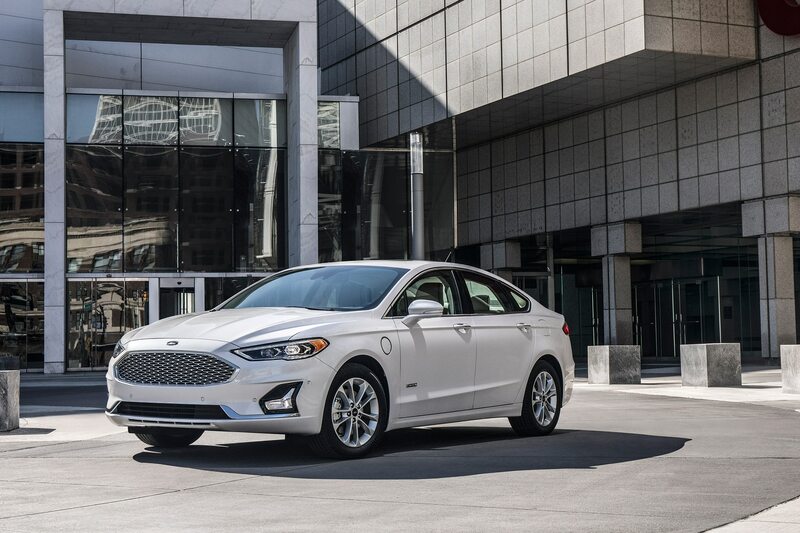 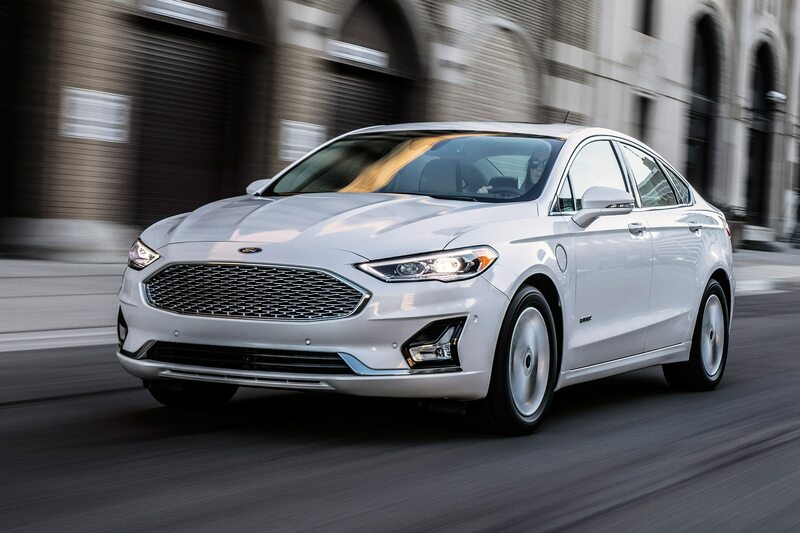 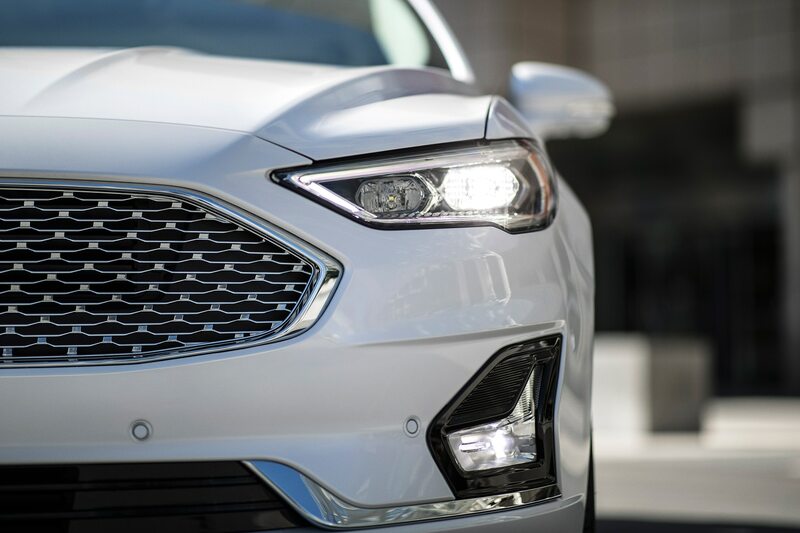 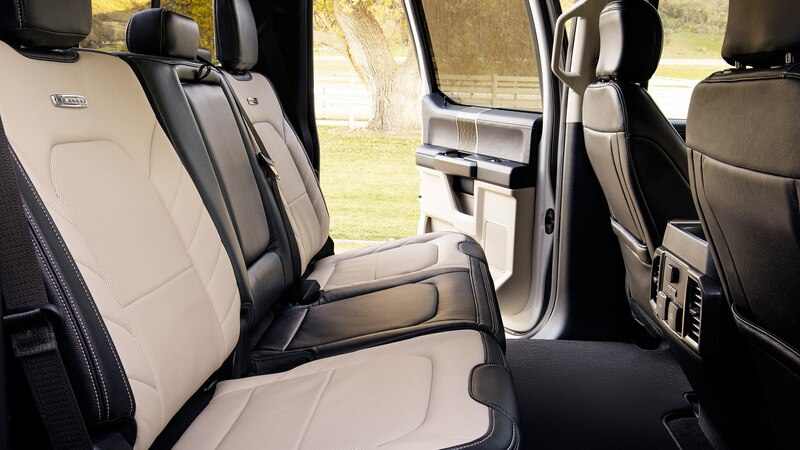 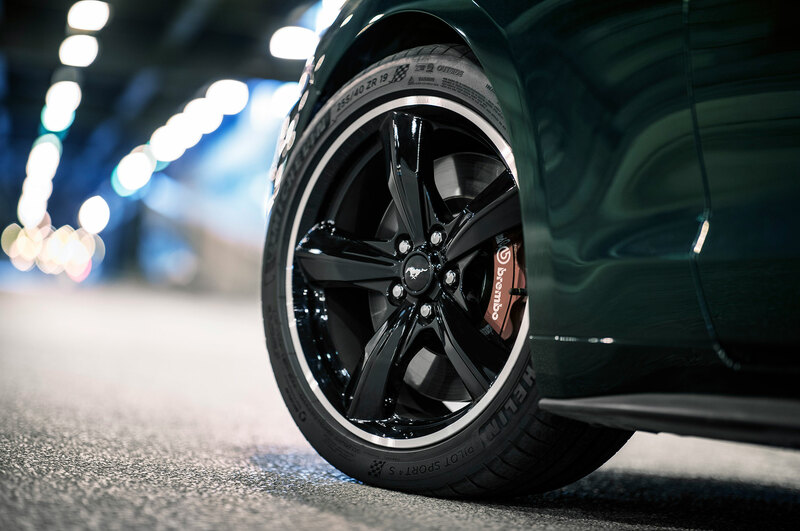 No matter how the future of personal mobility plays out, Ford has a good portion of its future pinned to its dominance among fleet customers.